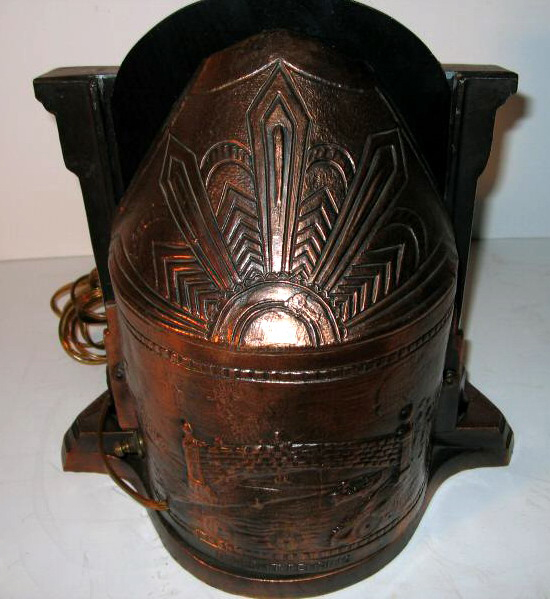 Motion lamps have a long history, with variations on the design made even today. 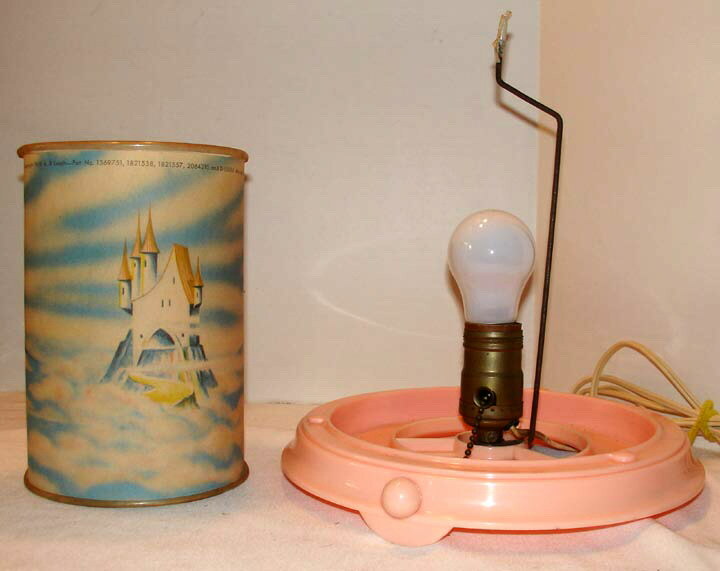 These ingenious devices used the lightbulb-generated heat to rotate one cylinder behind another, making flames leap, clouds float, boats sail etc. 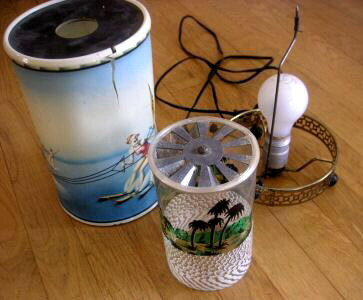 The heyday of motion lamps was the 1950s, with Econolite Corporation and L.A. Goodman Manufacturing (which later became Lacolite Industries) being the predominant makers, although brands like National and Scene-In-Action pioneered the format back in the '30s. Hard to find in good condition, vintage motion lamps have become highly collectible. 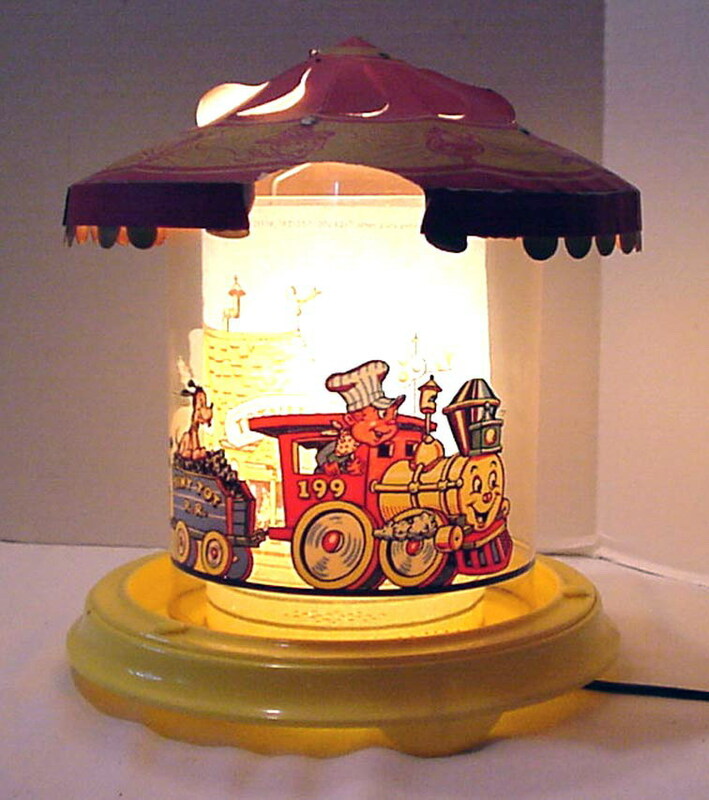 I'll gladly respond to any questions regarding motion lamps, but if you want to confer with the real motion lamp experts, visit SMS Noveltiques. 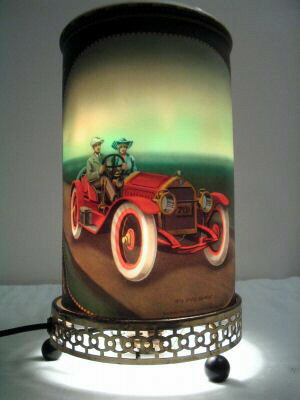 This Econolite motion lamp #768 features a 1912 Model T Ford and a 1914 Stutz Bearcat, and is dated 1957. 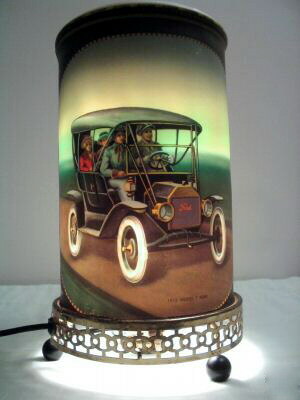 This image shows the Model T. Photos courtesy of an eBayer from Manahawkin, NJ. Why have I included this photo? 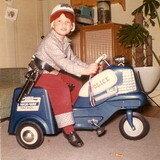 Because it's a photo from "back in the day" that has an Econolite vintage auto motion lamp in the background! This photo is from 1959, and provided through the generosity of Wes Clark. 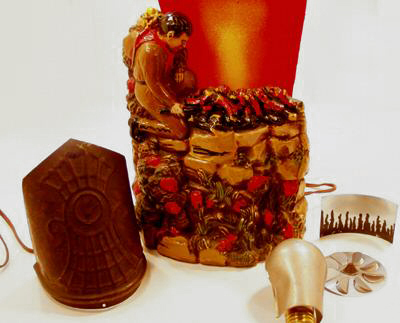 His website, Wes Clark's Avocado Memories, is not to be missed! 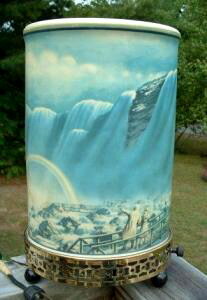 Ignition Company was active in the '40s, and produced only two styles of motion lamps, this one and a Niagra Falls scene. Photos courtesy of Mike Addy from Minneapolis, Minnesota. 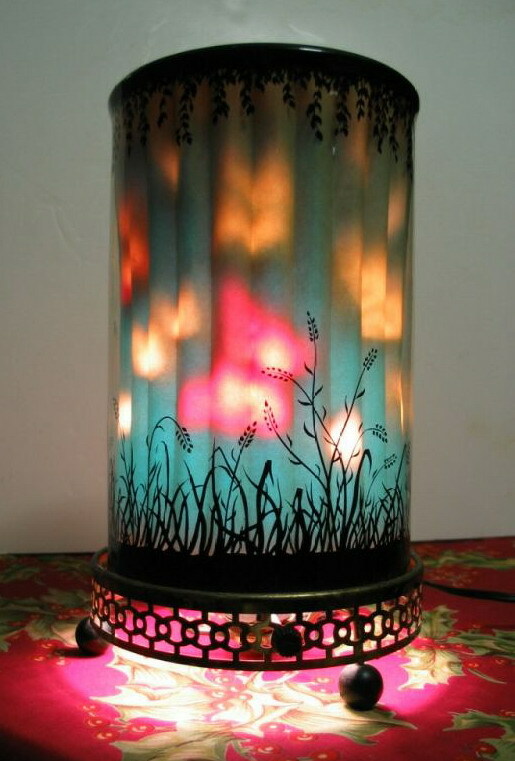 Ignition motion lamp in action. Looks a bit like a rocket blasting off! 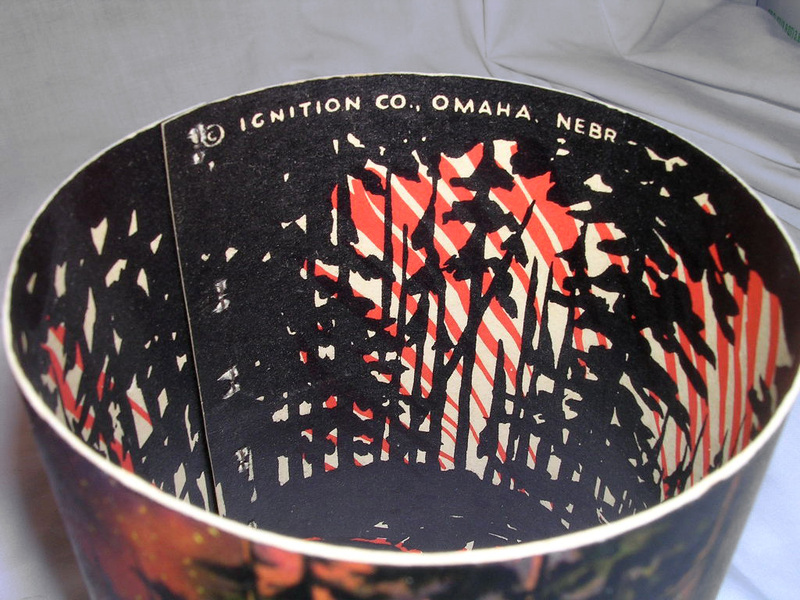 The cylinder is marked, © Ignition Co., Omaha, Nebr. 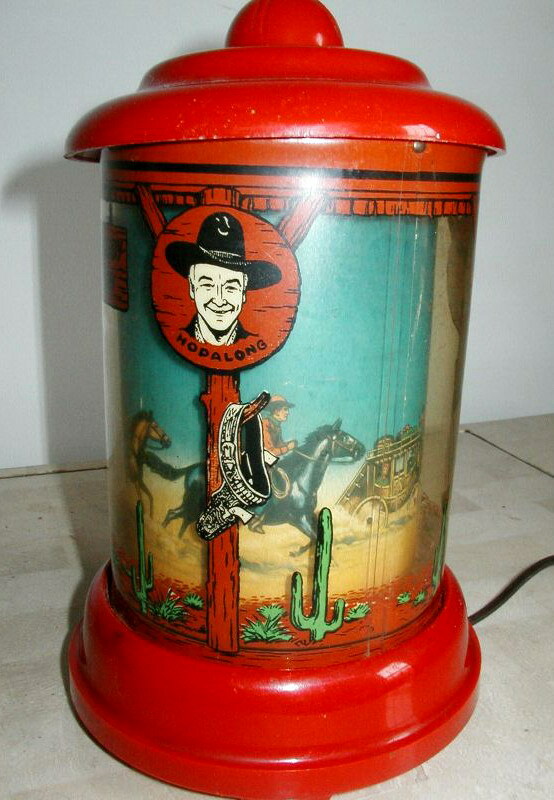 Econolite's "Roto-Vue Junior" line had some of their most charming designs, including this great Hopalong Cassidy model from 1950. 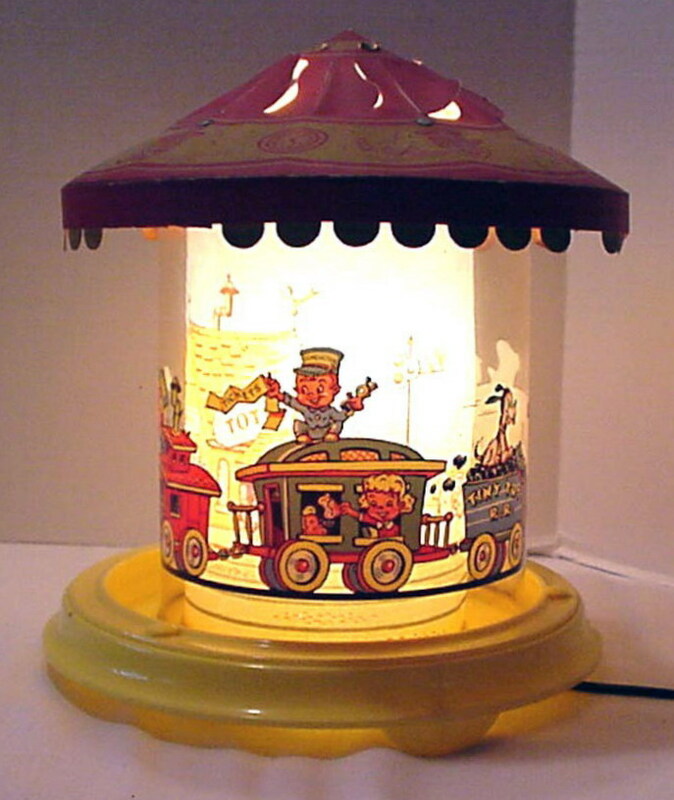 Photos courtesy of eBay seller "vic-ts", who always has great motion lamps for sale! 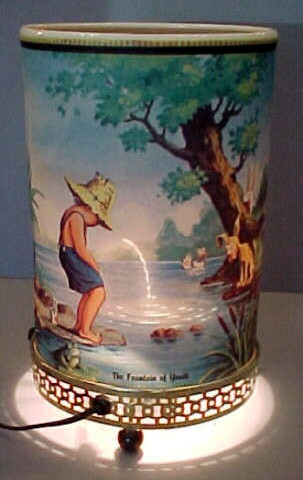 Here it is in action... Ya-HOO! 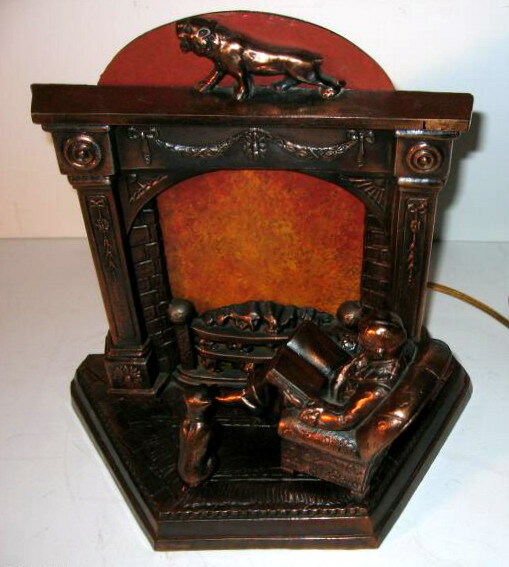 Flames were a popular theme with the motion lamp companies, as seen on this "Hearth" from Econolite. It is model #773 and dates from 1958. 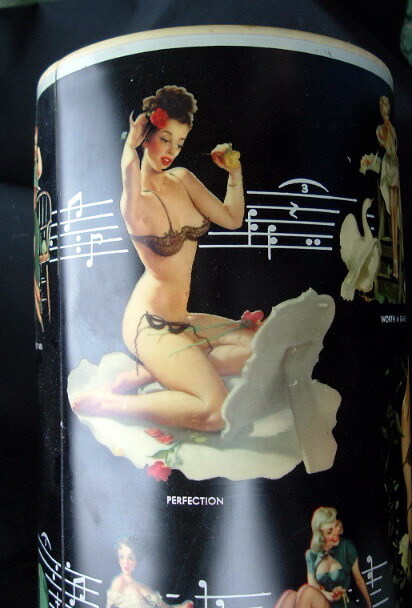 Photos courtesy of McHenry's, Batavia, Ohio. 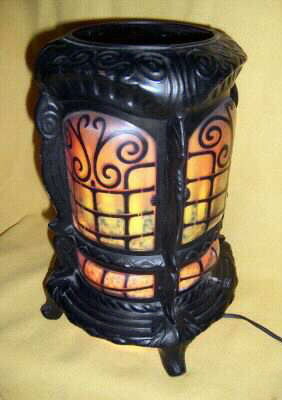 Another look at the Econolite hearth lamp. 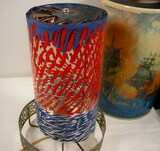 Here's a view of the "innards" of a motion lamp! 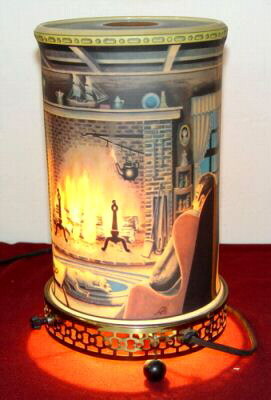 Here's that fire theme again, this time on an L.A. Goodman motion lamp dated 1958. Photos courtesy of Doug from Pennsylvania. 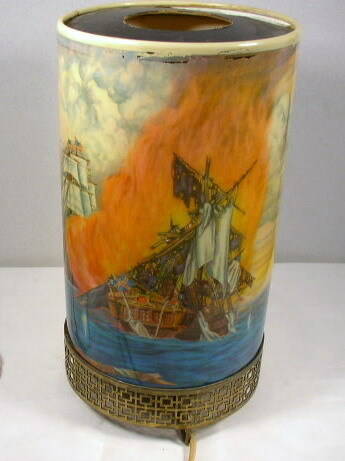 Another side of the fiery ships. 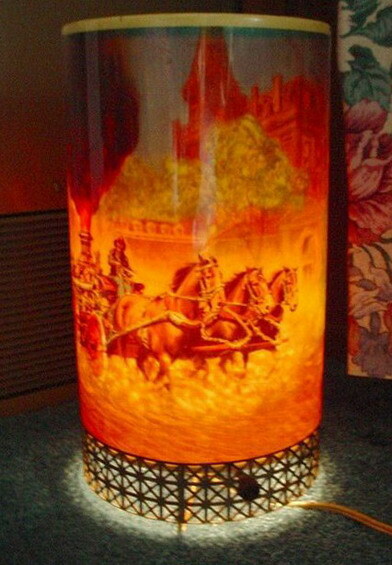 You can practically hear the crackle of the flames! 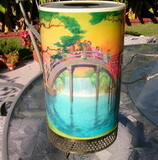 The inner cylinder creates the flickering image as it rotates. 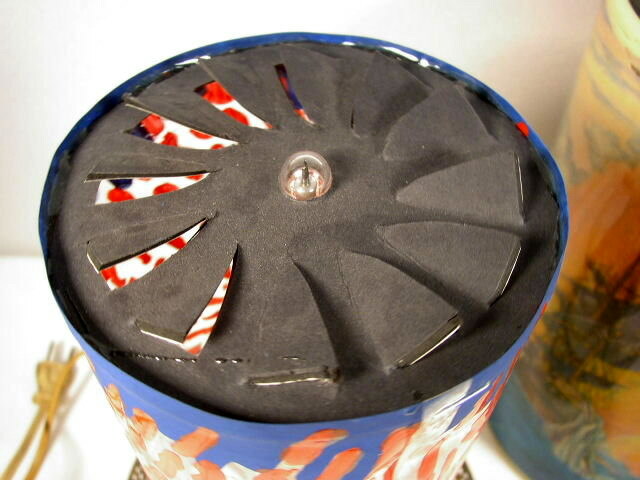 The heat generated from the light bulb rises past these fins to generate the rotation. 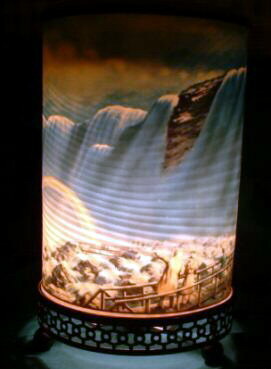 From 1960 we have the Econolite #762 Niagara Falls motion lamp, complete with rainbow! Photos courtesy of Carla from upstate New York. 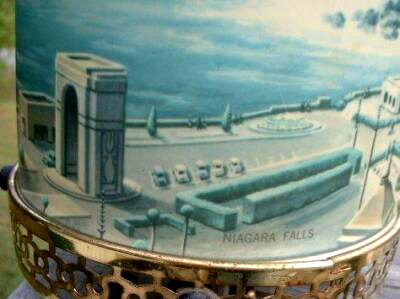 Another view of Niagara Falls. 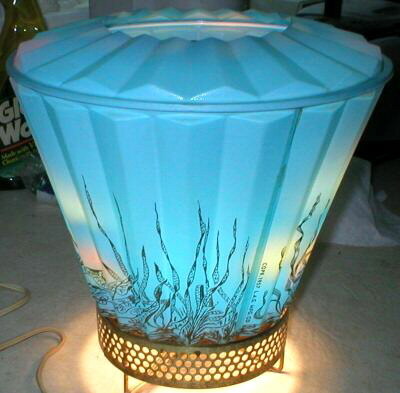 It still takes my breath away when one of these babys lights up! Under that inspiring scenic wonder is this rather mundane framework. This Econolite snow scene dates from 1957, and is model #767. Photos courtesy of a friend from North Dakota. 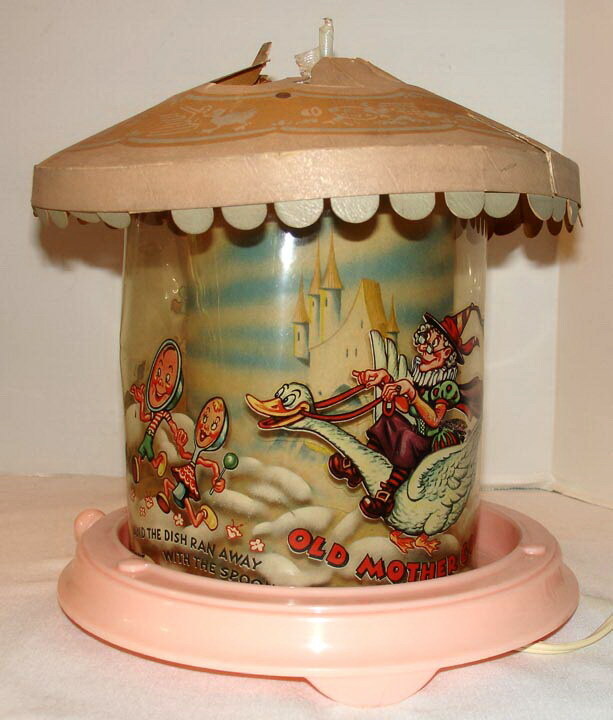 If you've got the original box, you've really got something! 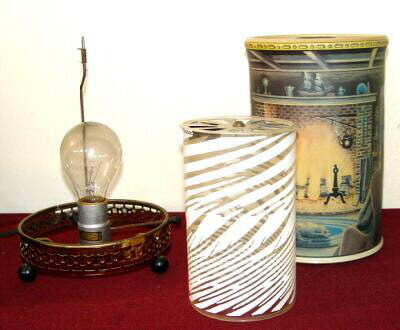 Notice the unusual design on the inner cylinder, diagonal lines that create the illusion of falling snow. 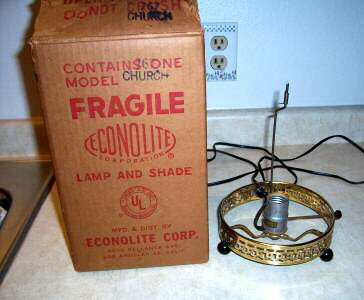 What a treasure...this 1957 Econolite motion lamp still has the original hang tag! 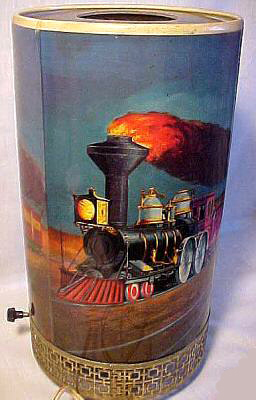 It is model #764. Photos courtesy of Mimi from New York. 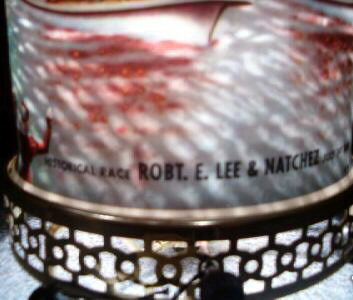 A detail view shows the scene to be the historic steamboat race between the Robert E. Lee and the Natchez. 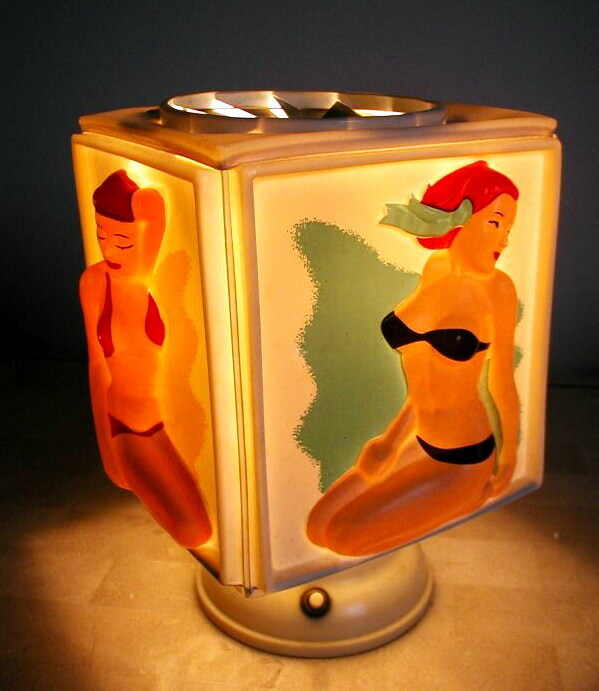 This 1956 L.A. Goodman motion lamp is a honey! 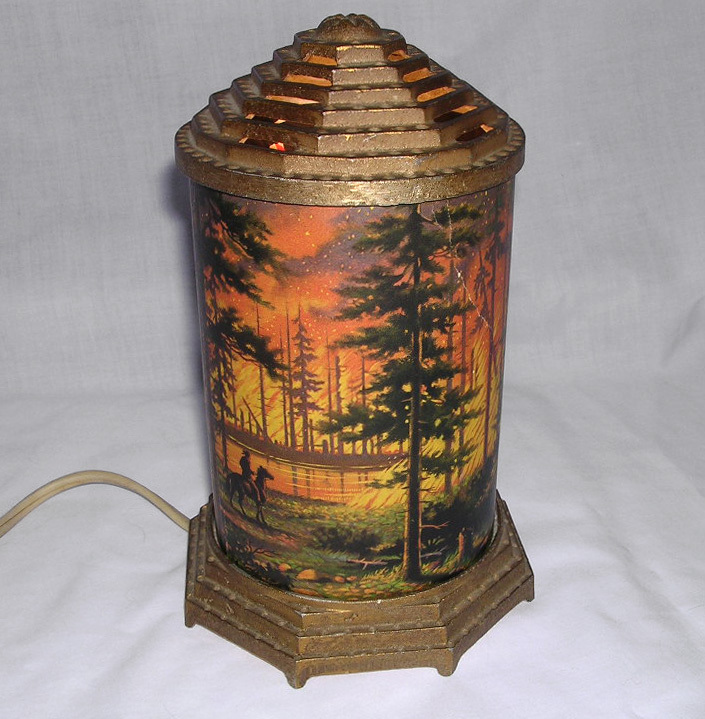 It is model #2003, and is a beautiful woodland scene with a deer, a cabin, and a raging forest fire. 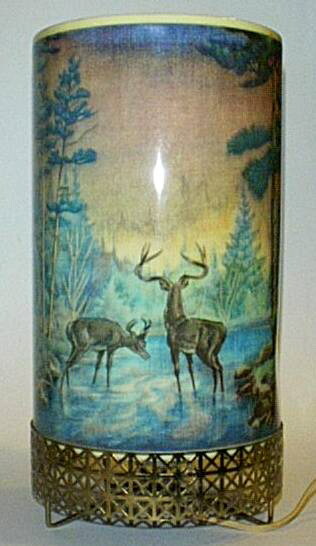 Photos courtesy of Uncle Alan's Antiques, Delhi, NY. 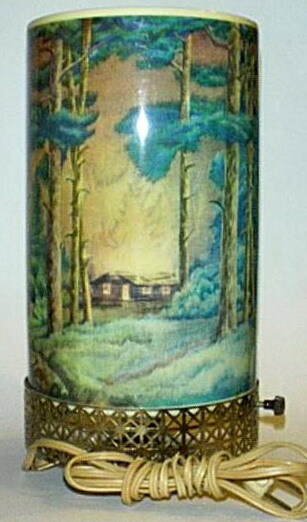 Another view of the Goodman lamp. 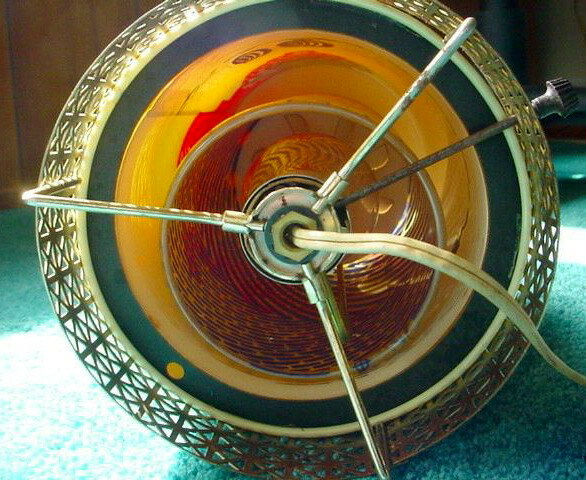 This shows the internal cylinder of the Goodman deer lamp. 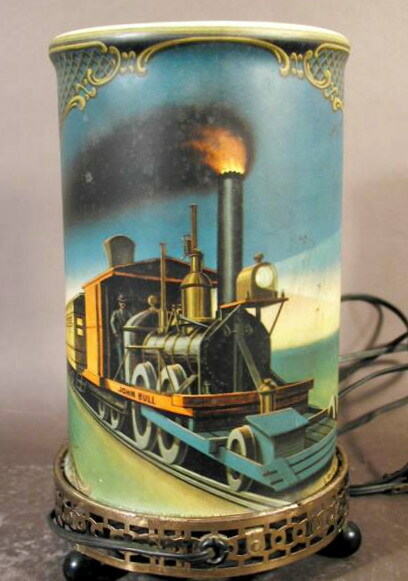 The two primary manufacturers of motion lamps tended to target each others products in a very direct way, and this is Econolite's version of the train theme. 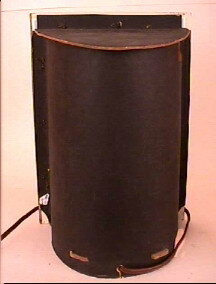 It is model #763, and dated 1956. 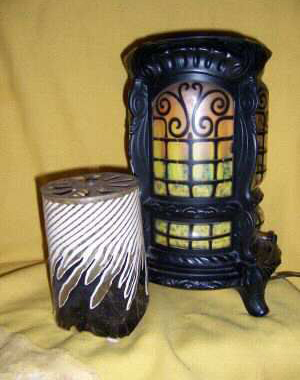 Photos courtesy of DnL Antiques. 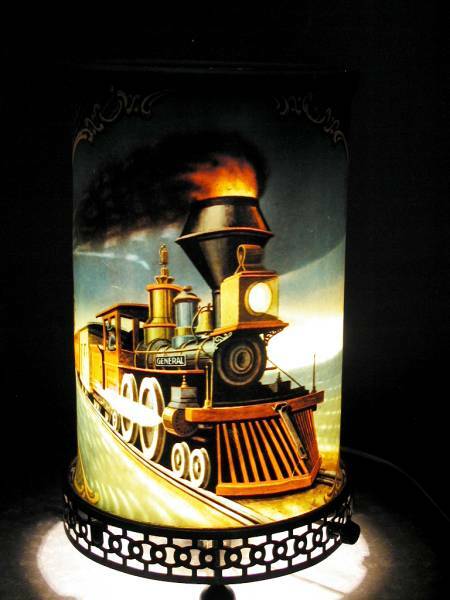 Another view of the Econolite train lamp. 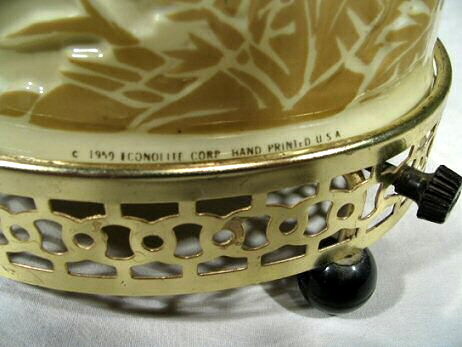 These markings show the copyright date of 1956 and the model number. 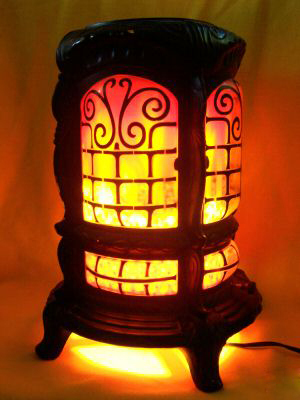 Really nice looking when lit, eh? 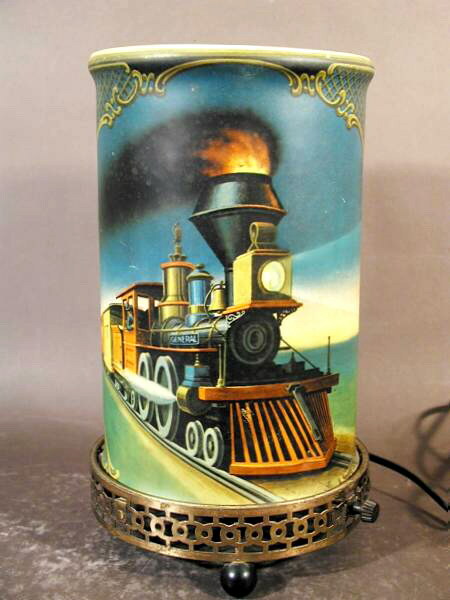 This great L.A. Goodman motion lamp is marked 1957, and is adorned with scenes of vintage steam locomotives. 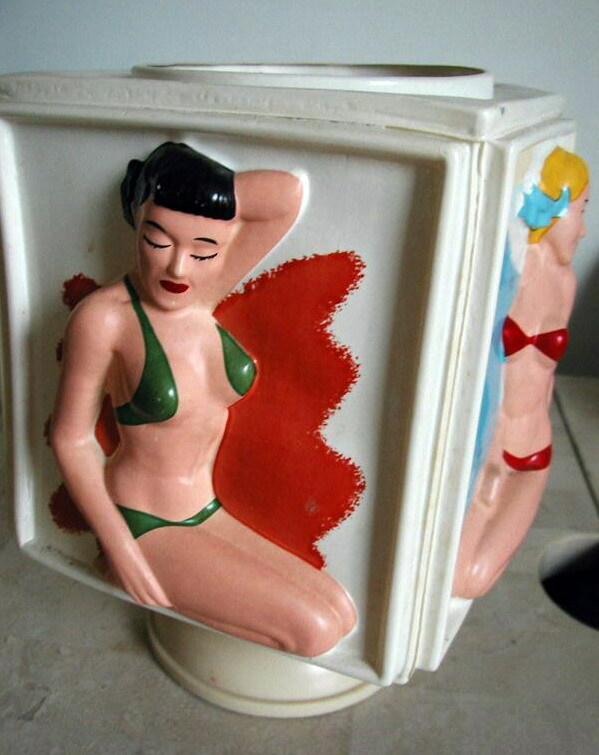 Photos courtesy of eBay seller glenmoorantiques. 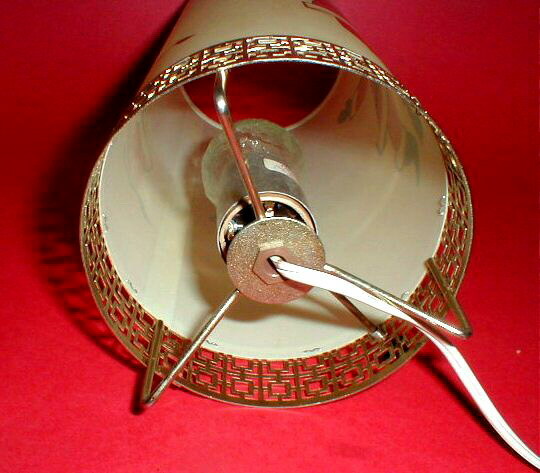 ...and here we have the lamp disassembled, showing the metal framework and internal cylinder. 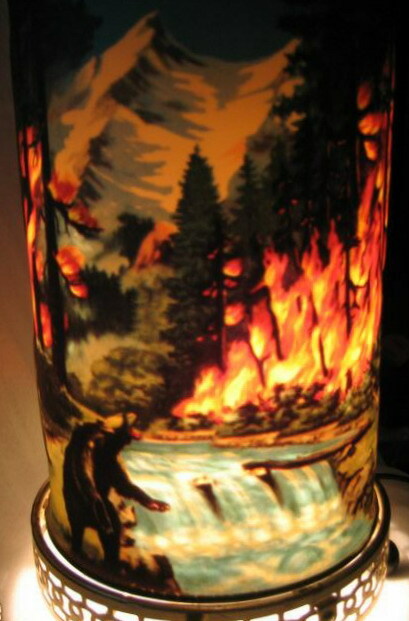 One of the more dramatic styles, Econolite model #761 depicts a roaring forest fire and animals in peril from the flames. 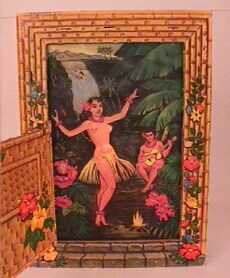 Dated 1955. Photos courtesy of Garold Robinson from Modesto, California. 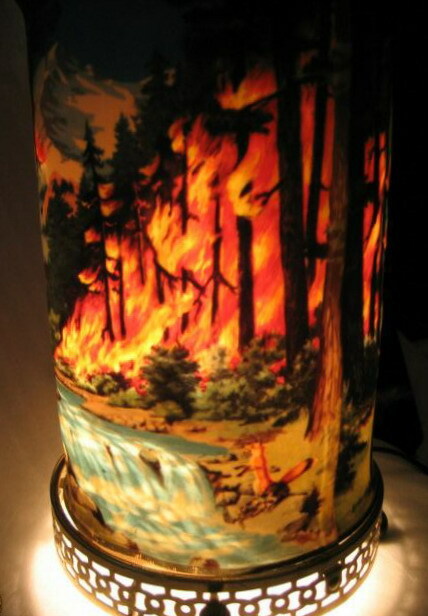 Another angle on the Econolite forest fire motion lamp. ...and a very different scene on the other! 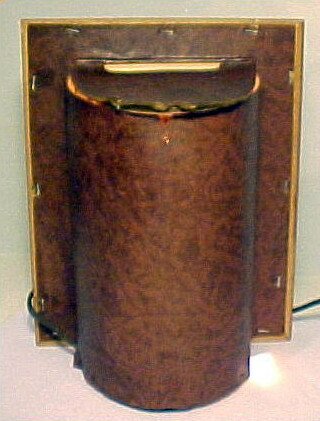 The rotating inner cylinder creates the flowing action of the "stream". 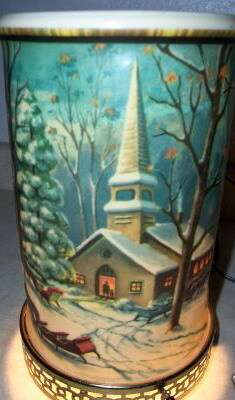 This one is dated 1950. Photos courtesy of Bette Van Liere, Sioux Falls, South Dakota. Here's a rare and highly original version of the theme above. 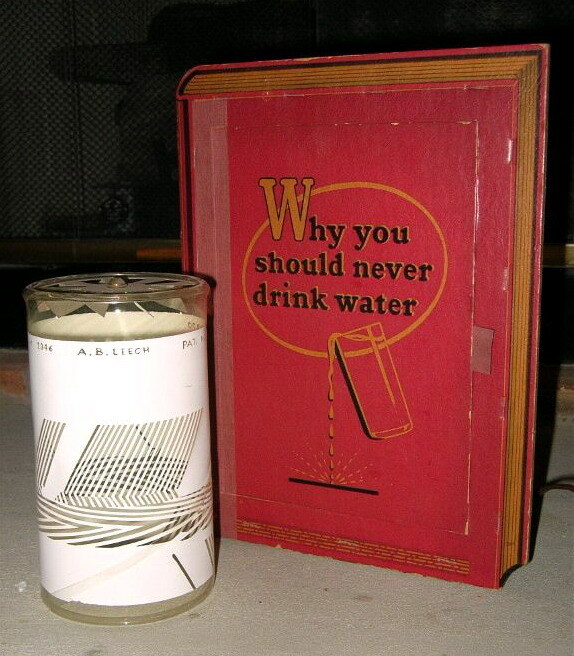 This book-style lamp is from 1949. Photos courtesy of Chris from Western New York. 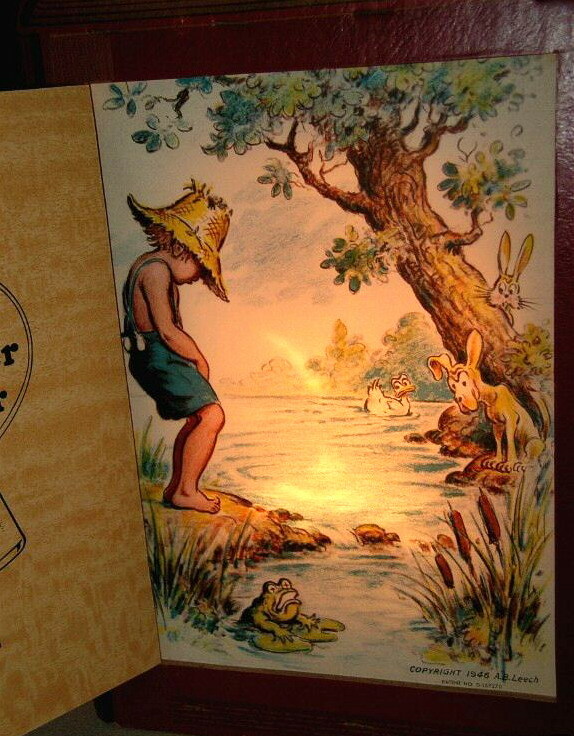 Opening the book reveals the same scene as the previous, more "traditional" motion lamp. 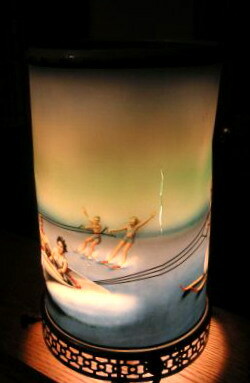 Close-up of the illuminated scene. 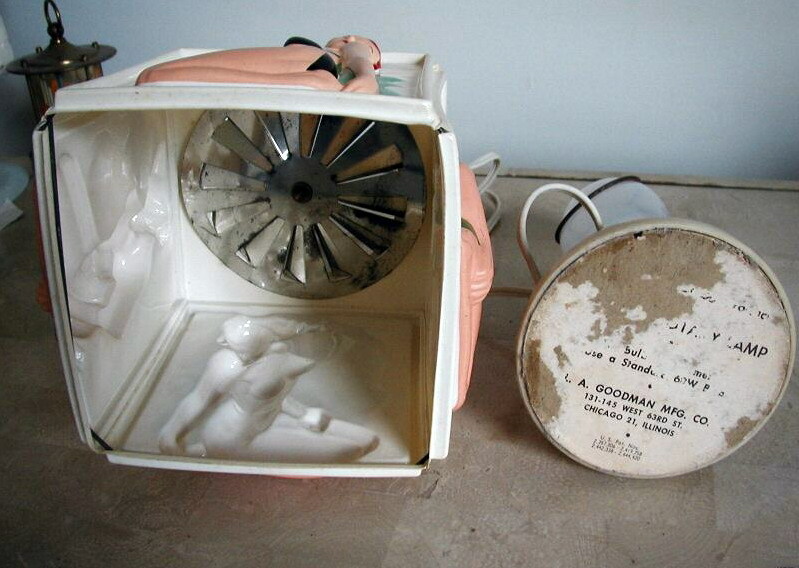 Here's a peek at the internal cylinder. 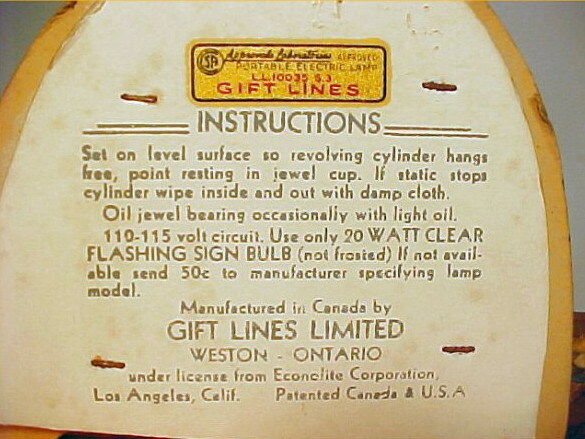 Extensive instructions, warnings, certifications etc. 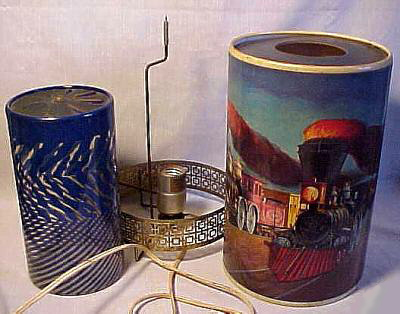 Back view, showing the area that houses the cylinder and bulb. 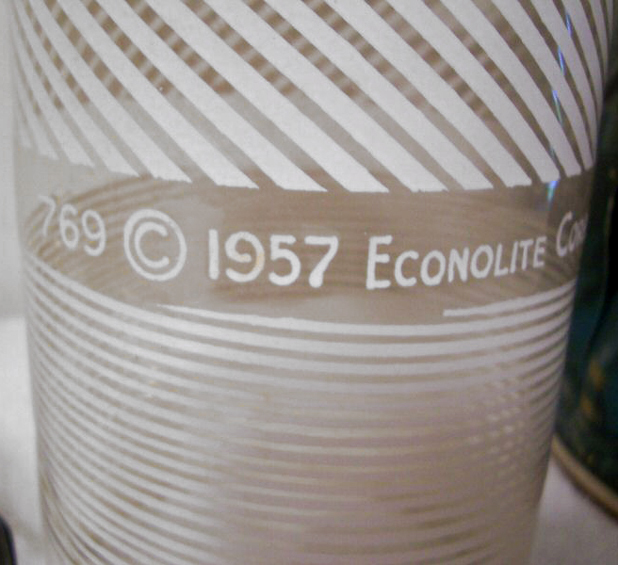 One of the earliest Econolite's, this one wears a date of 1948. Both Econolite and Goodman appear to have made this type of child's lamp prior to creating the motion lamps for which they are better known. Photos courtesy of a donor from Pennsylvania. 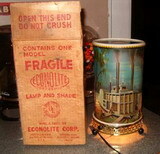 ...the other side of the Econolite "Totville" lamp. 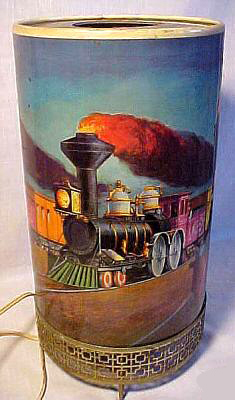 This view shows the scene on the inner cylinder. 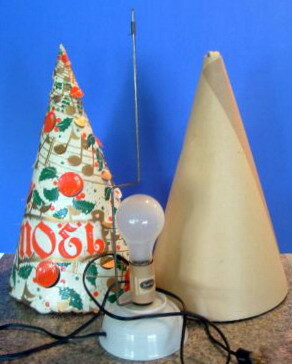 And here's the three components of the lamp. The carousel top reveals the fins that allowed for the exit of heat and subsequent rotation. 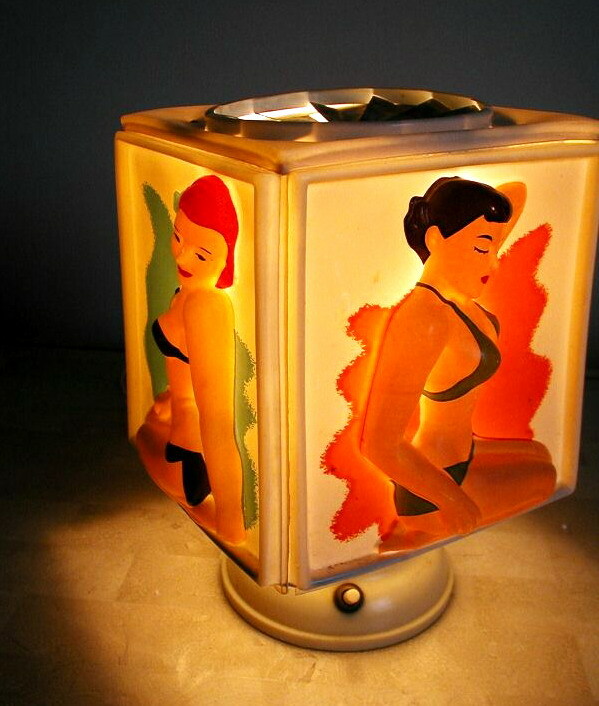 Dated 1957, this motion lamp from L.A. Goodman doesn't follow the usual straight-sided design. Photos courtesy of Paul Hudson from Ballwin, Missouri. Top view of Goodman's fish lamp. 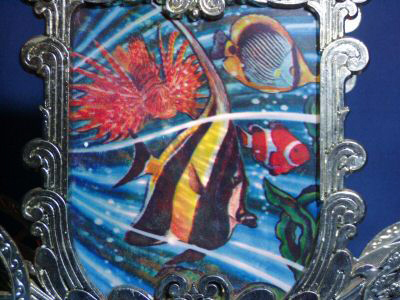 The subtle effect of swimming fish is created by this rather bold design. Econolite put the emphasis on scenery, and what better vantage point than from the cab of a big rig? 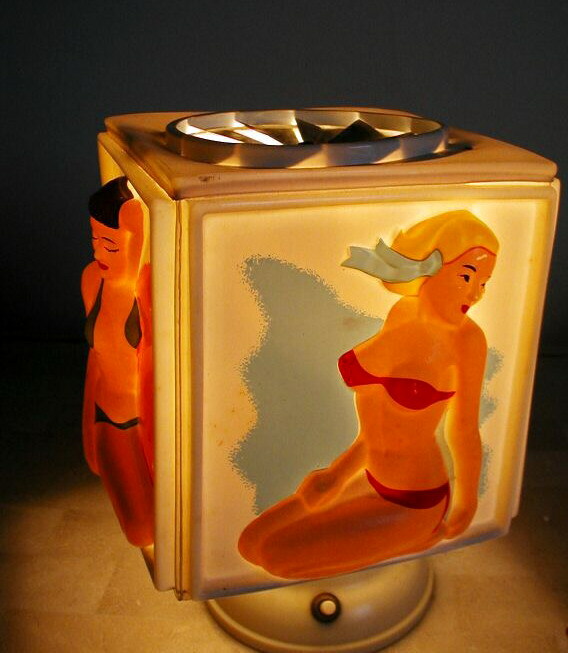 The subject of this rare 1962 motion lamp (model #776) is decidedly odd...that's what I like about it! 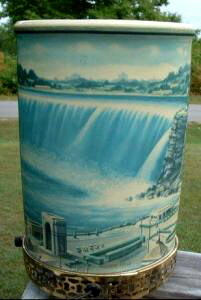 Photos courtesy of Jim from Scott Depot, West Virginia. 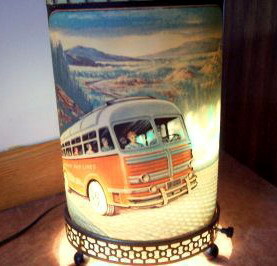 If busses are more your style, there's one pictured on the side opposite the Peterbilt. For the mechanically minded, here's an exploded view. 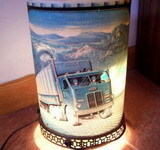 Let's say that truckin' isn't your bag...I'll bet a day at the lake is more your style! 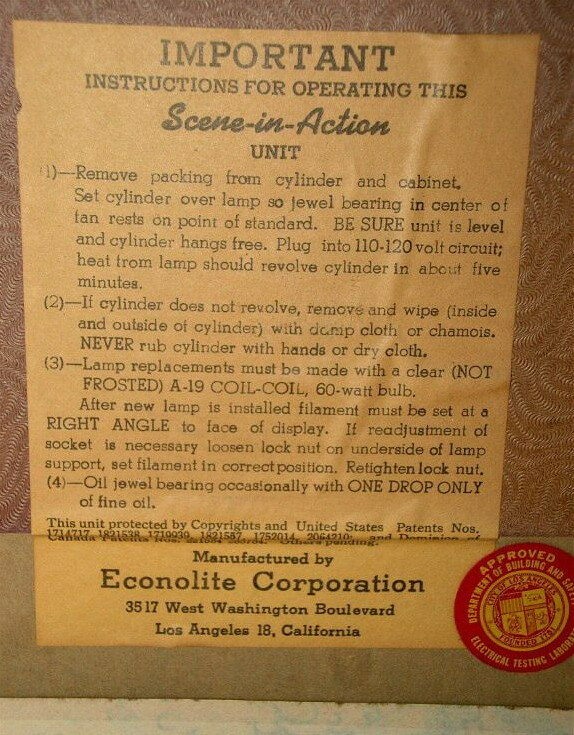 This Econolite #771 is dated 1958. Photos courtesy of an eBayer from LaValle, Wisconsin. 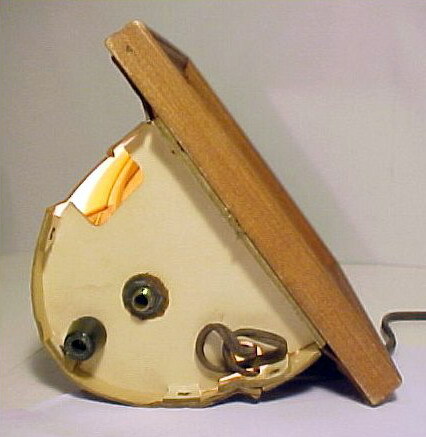 A look at the innards of the skier motion lamp. 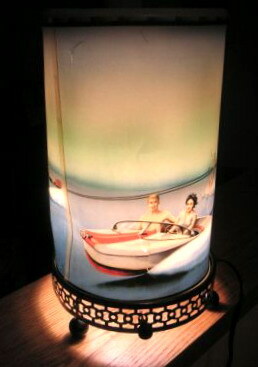 In 1953 Econolite made this very "Helmscene-like" picture lamp. 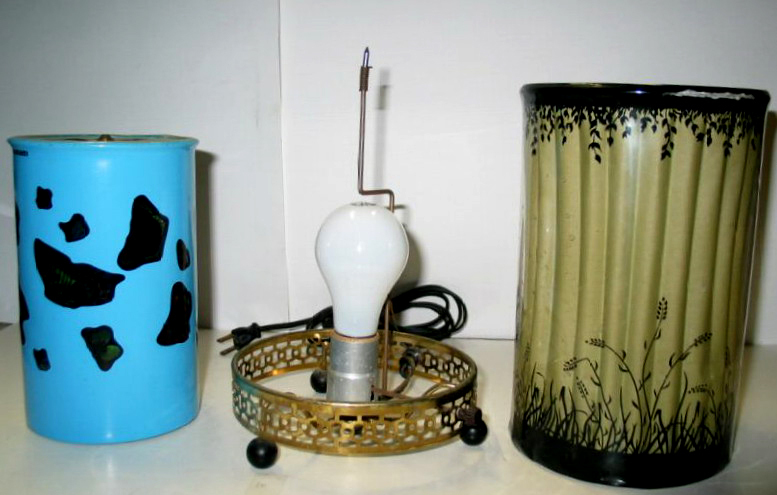 I don't believe many of these were made, and I suspect the Econolite abandoned this facet of the market to focus on the cylindrical motion lamps they are known for. 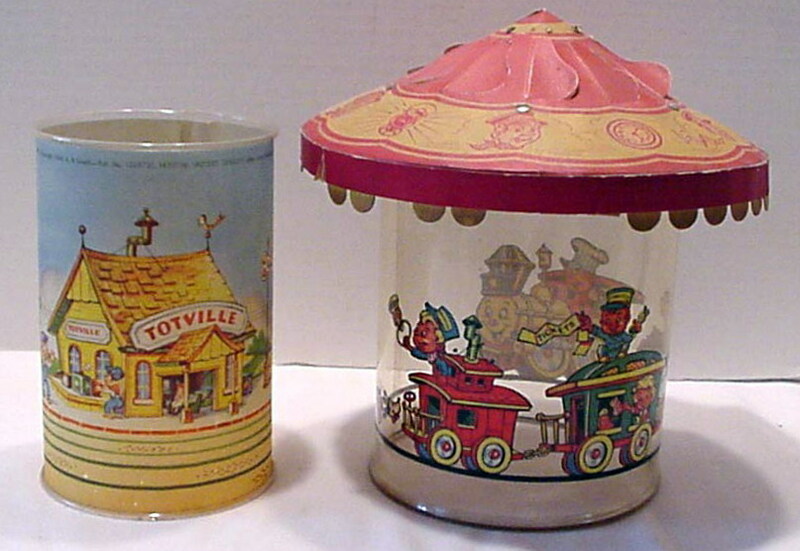 They would use the steamship theme again in 1956. Photos courtesy of Vince Vautrin from Canada. "What do you mean I'll have to make a hole in the wall to hang it?!" 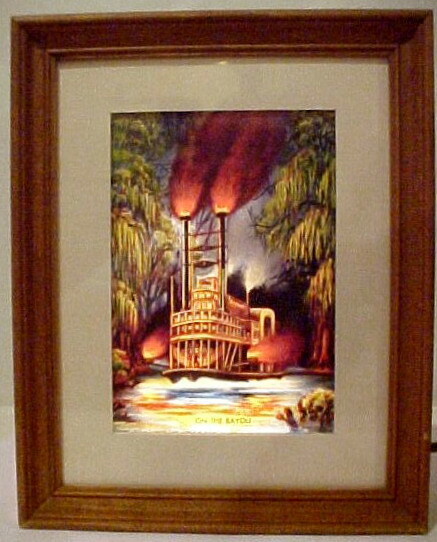 Unlike Helmscene illuminated pictures, Econolite's picture frame models were meant to be placed on a table or shelf. 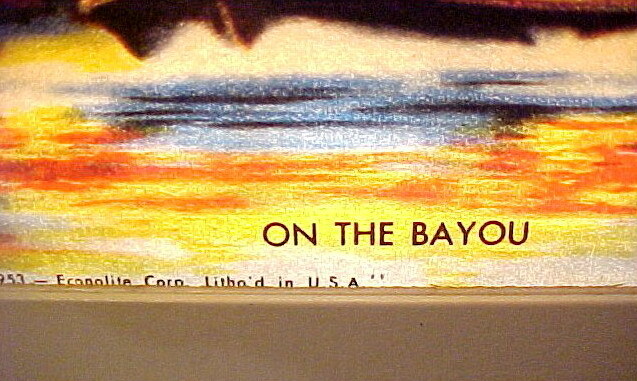 As was often the case, Econolite put the "title" of the work on the image itself. 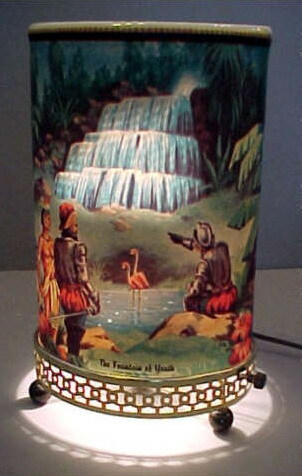 Back view of the "Bayou" lamp. 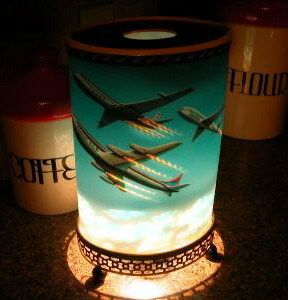 Not content to endlessly depict rustic vistas, Econolite made this motion lamp showing the latest jet aircraft! 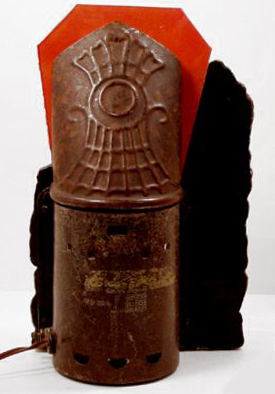 It is model #774, and wears the date 1958. Photos courtesy of Michael from Plano, Texas. Here's the other side of the jet airplane motion lamp. 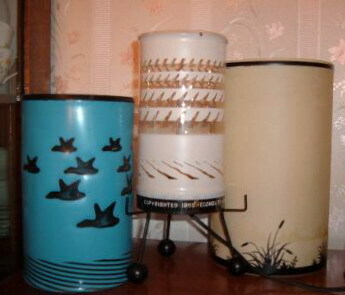 Stylistically, the duck theme seems at odds with the "Sputnik" landing legs, but I like it! 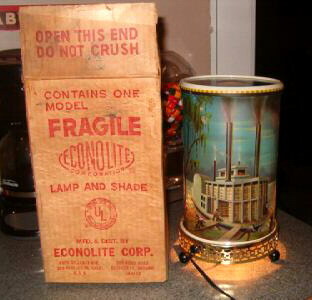 This Econolite is dated 1955 and is model #953. Photos courtesy of Nanette from Pasadena, MD. Close-up of the ducks. 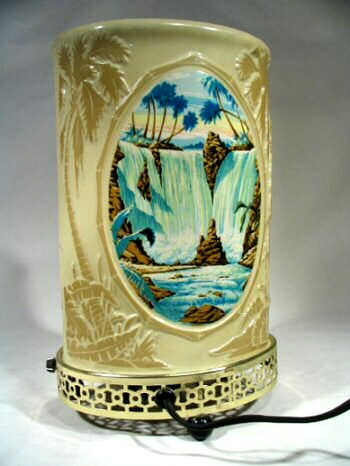 The design is a bit more subtle on this one than most, with only minimal decoration on the exterior cylinder. 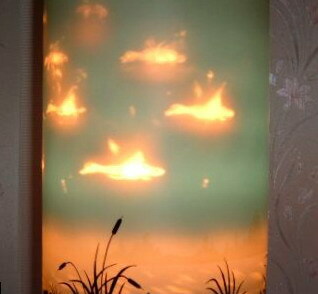 The various parts of Econolite's duck lamp. 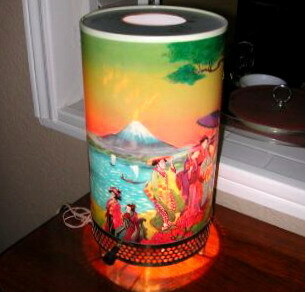 Here's an interesting motion lamp from L.A. Goodman. It has an unusual oriental theme, and is dated 1957. Photos courtesy of Michael from Plano, Texas. 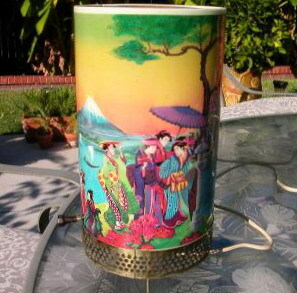 Another look at the Goodman oriental motion lamp. 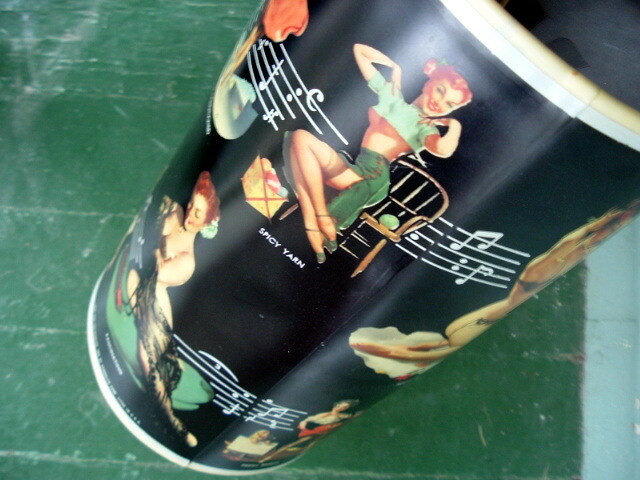 ...and here's a shot of the other side. 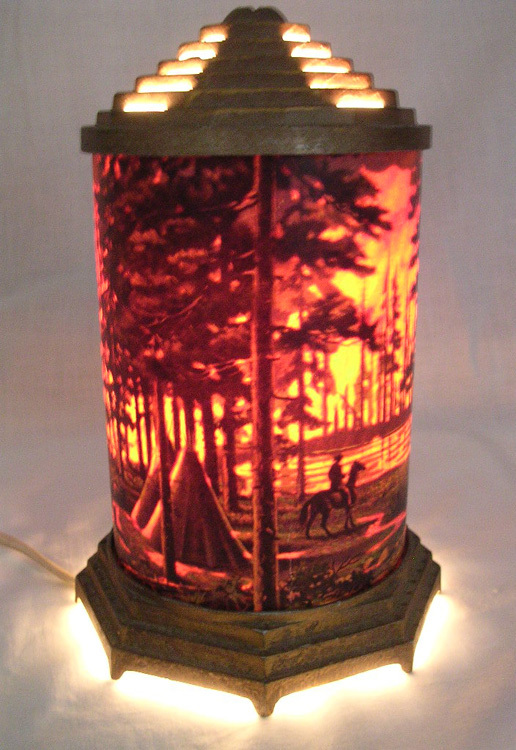 Another great L.A. Goodman lamp, this one a campfire scene dated 1956. Photos courtesy of Ed Durbin from Iowa. 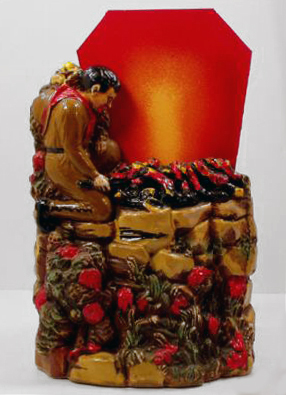 The campfire motion lamp features a waterfall on the other side. 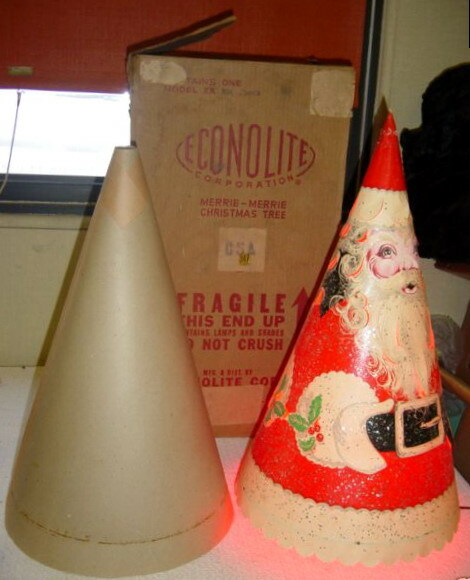 While not employing their usual "dual cylinder" design, Econolite's Santa is a winner! 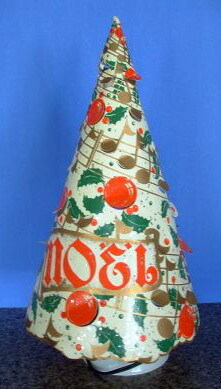 Their Santa and Christmas Tree models were made in three heights: 10½", 15" and 23". Photos courtesy of David from Chase Mills, New York. 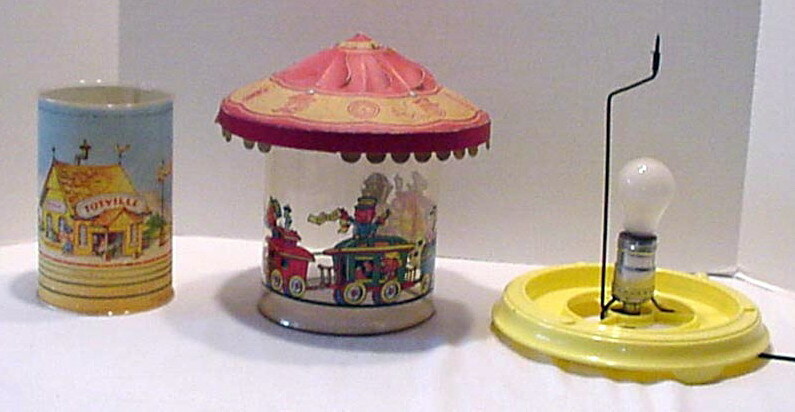 The same design is carried on both sides. 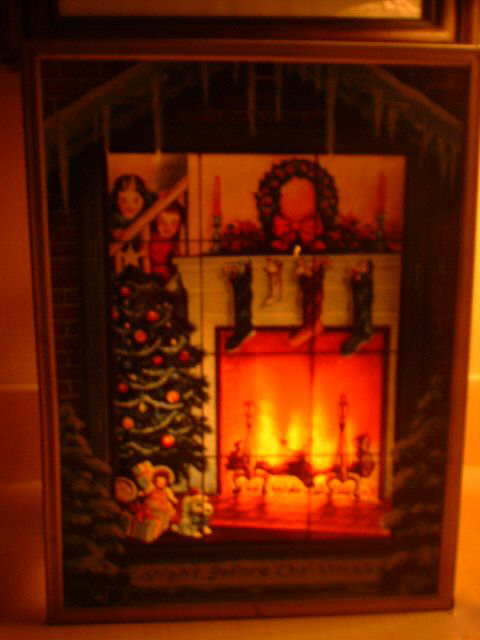 Because of their seasonal nature, many of these have survived remarkably well, usually packed away each year in the original box. 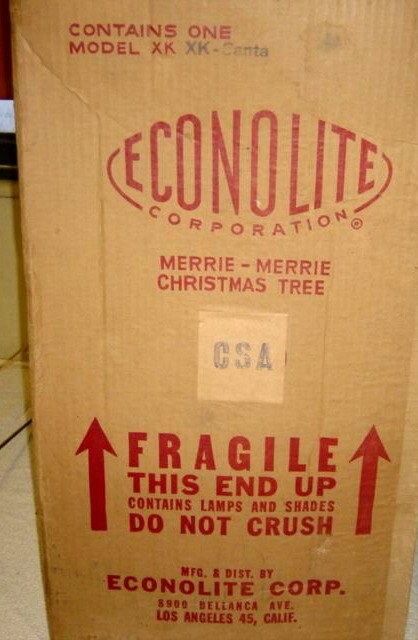 Their paper construction is fragile, however. This is it. 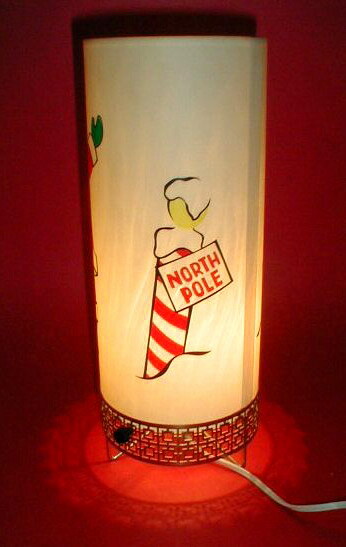 The Santa motion lamp doesn't have the usual rotating inner-cylinder and the resulting dance of light. 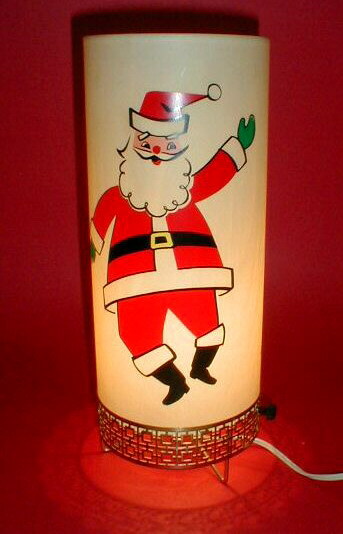 Santa himself rotates, casting light outward through the same angled openings that facilitate the rotation. 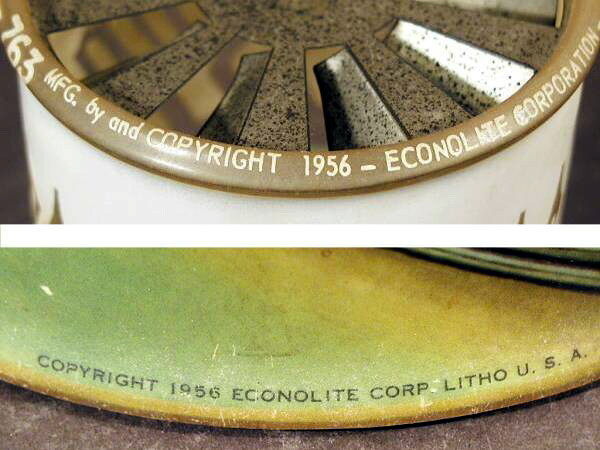 Here's a close-up of the Econolite label on the fixture. 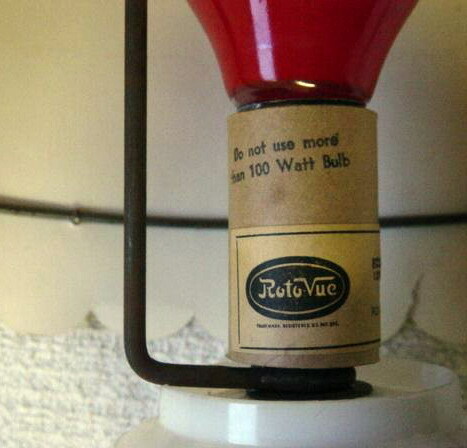 The opposite side says Roto-Vue, no doubt the proprietary name for the whole light/motion thing. 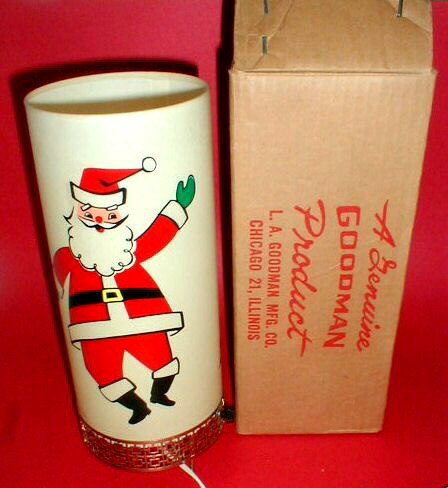 I love to see the original box, but they're not particularly rare on lamps with a Christmas theme, as they were typically stored in it from year to year. 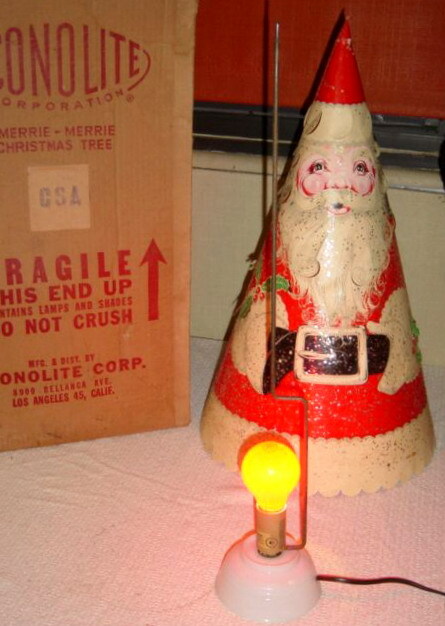 Same season, same format, but this "Noel" Econolite is found less often than the previous Santa design. Photos courtesy of eBay seller "reelsmom". 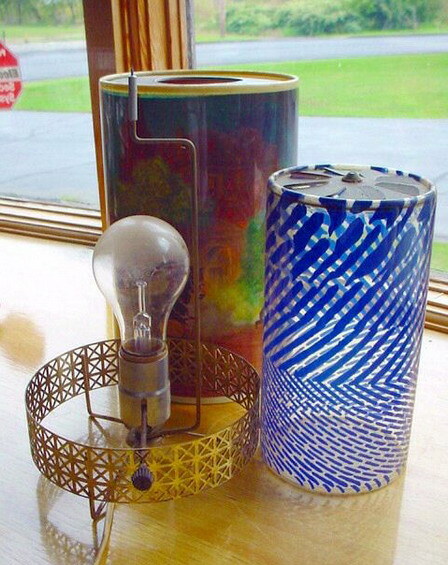 A look at the various components. 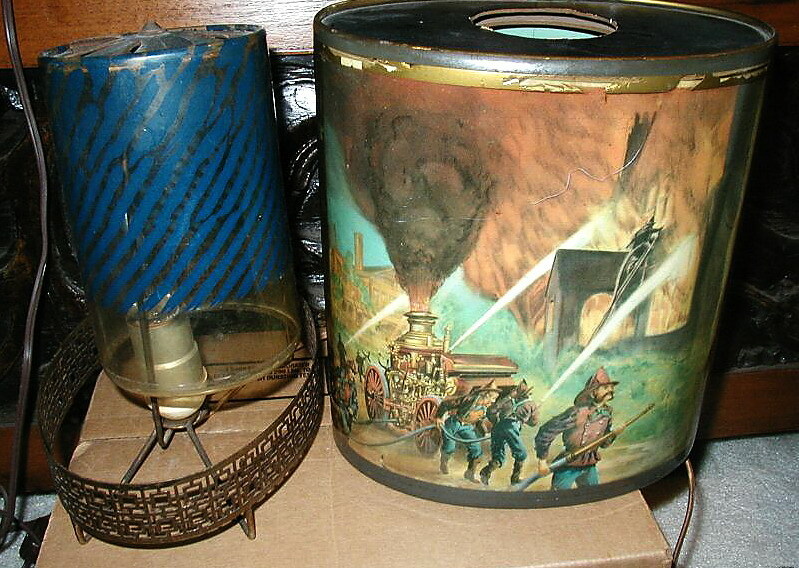 This Goodman fire fighter motion lamp is distinctive in that the outer cylinder is oval rather than the usual cylindrical design. 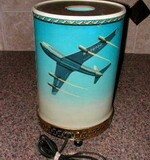 Also found with a round cylinder, it dates from 1957. Photos courtesy of Victoria Turner. 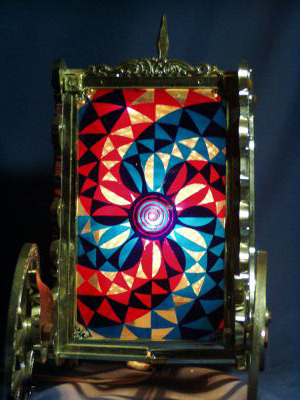 This shows the inner workings of the Goodman lamp. ...and here's a top view. 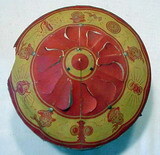 It clearly shows the oval design. 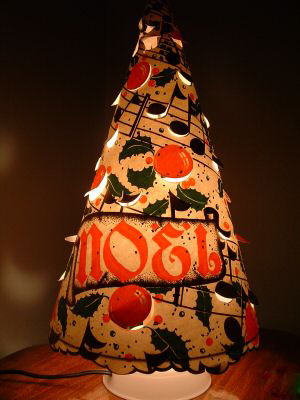 Ooh-la-la! 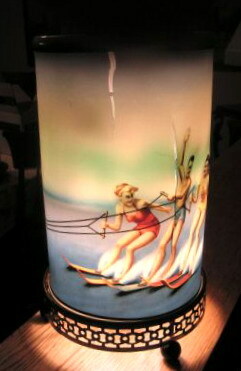 Unusual L.A. Goodman bathing beauty lamp. 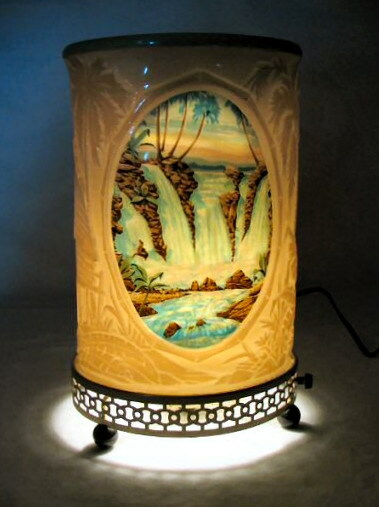 Photos courtesy of Victoria Turner (E-Bay seller vic-ts) of Victoria's Antiques and Treasures, known for her swell Motion Lamps! 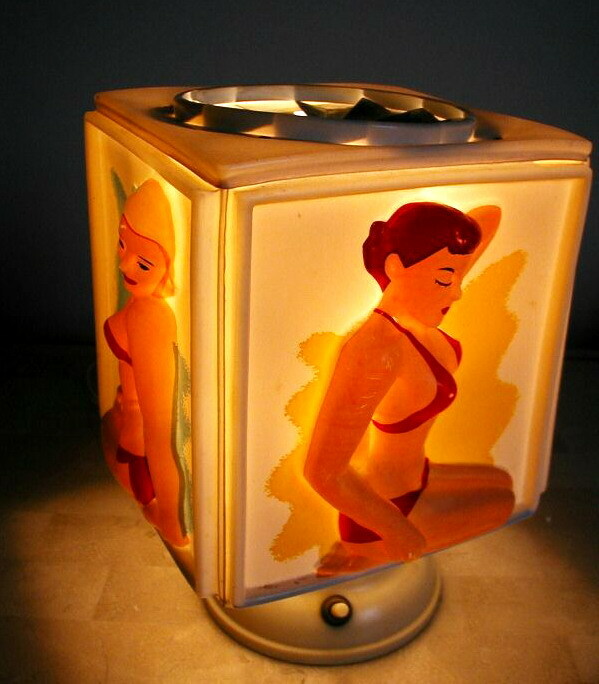 There's no inner cylinder to create fancy lighting effects on this one...it is simply rotating views of a gaggle of swimsuit beauties! 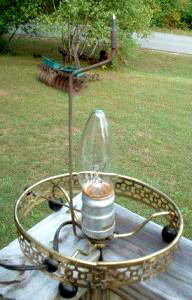 This shot shows the lamp in use. 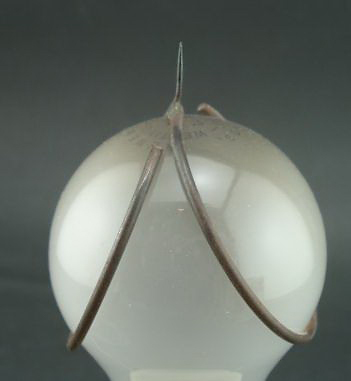 Here's a saucy little design from Econolite. 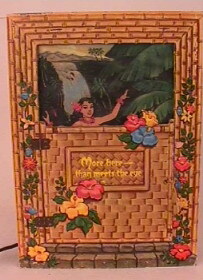 The thatched door reads "More here- than meets the eye"...indeed! 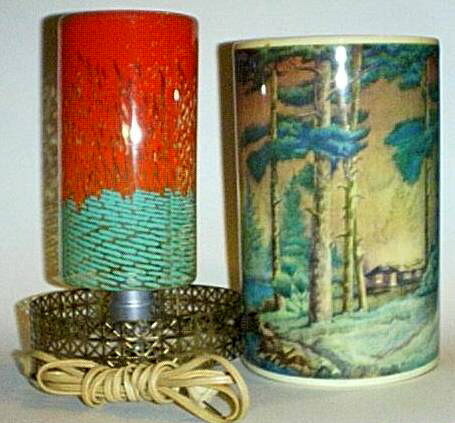 Photos courtesy of Eclectic Antiques. Welcome to the islands! 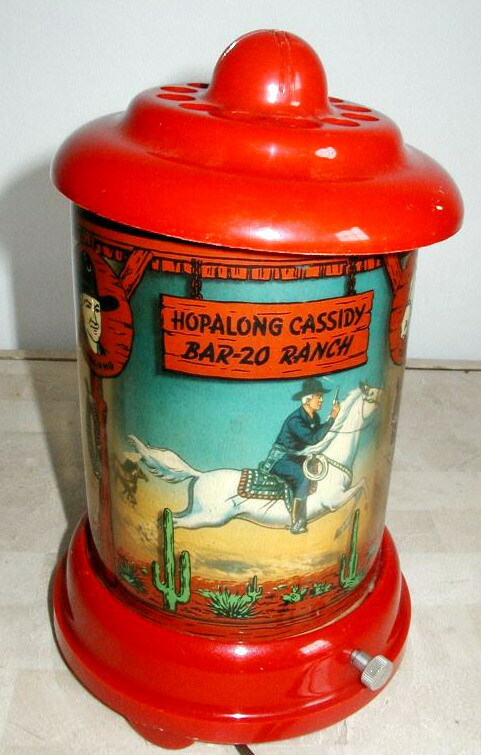 It's dated 1952. 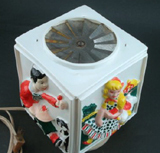 This view of the hula girl lamp shows back portion that contains the workings of the lamp. 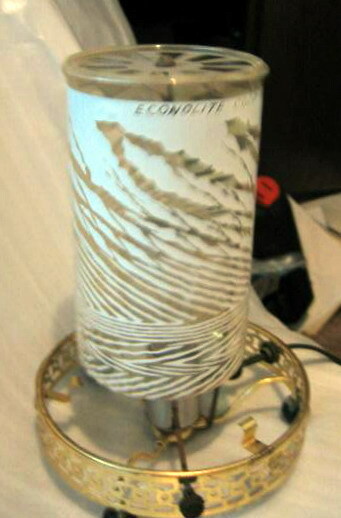 The butterfly design on this Econolite motion lamp isn't a mid-century theme, but it is definitely one of their more attractive models. Dated 1954, it is model #753. Photos courtesy of Charlie from New Hampton, New Hampshire. 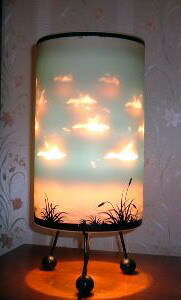 An "exploded" view of the butterfly motion lamp. 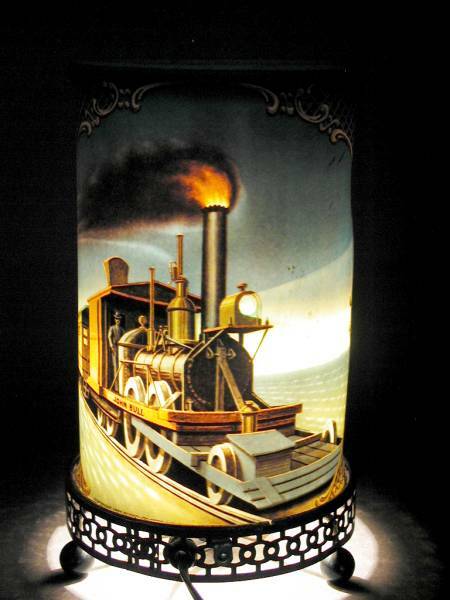 I don't know the maker of this carriage lamp, but they were certainly thinking outside the box! 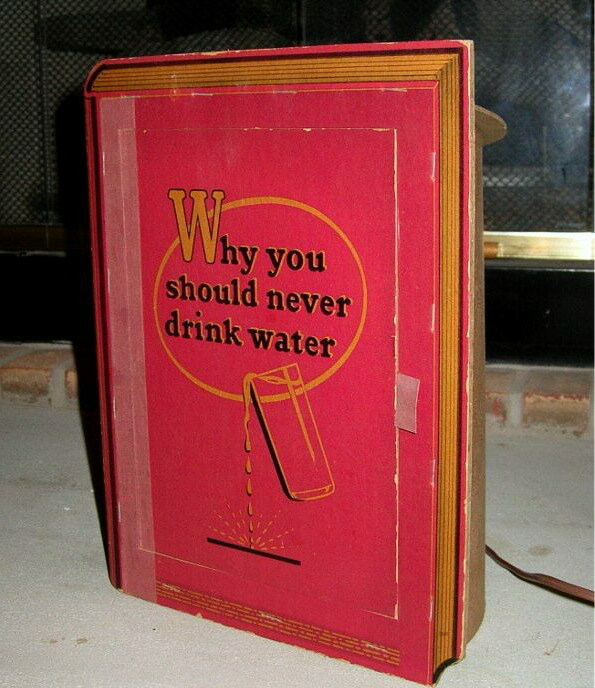 Photos courtesy of eBay seller nowiknow. 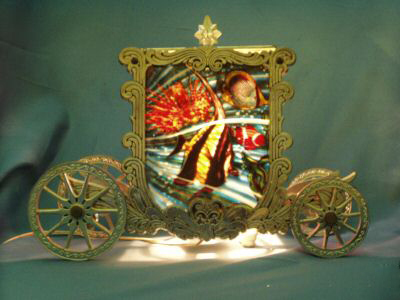 The carriage has a fish scene that comes alive as the inner cylinder rotates. 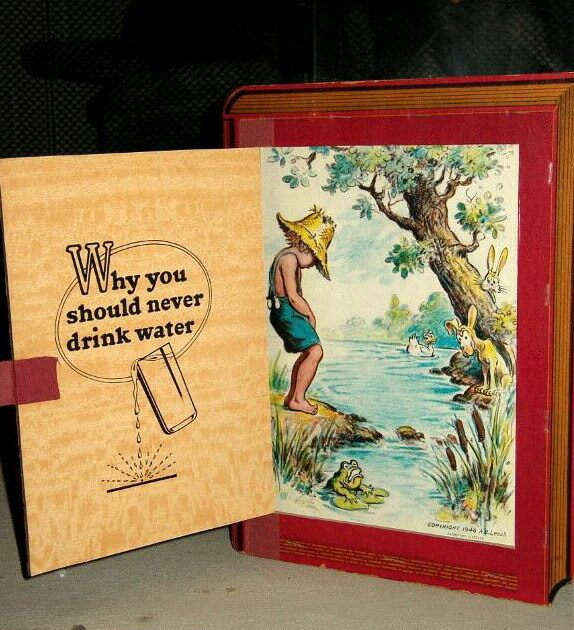 Hmm... I'm not sure about the psychedelic images that adorn each end! 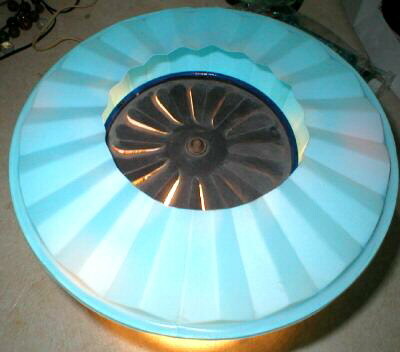 Inside the coach are conventional motion lamp components. 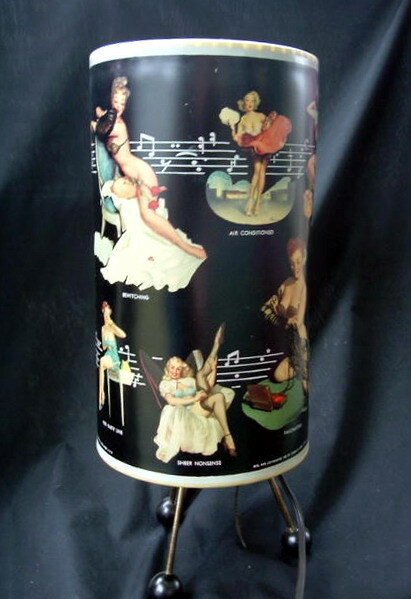 I don't know the maker of this metal motion lamp, but it's probably from the '30s. 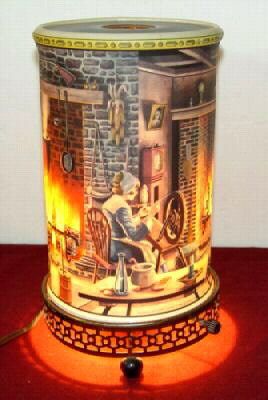 It has wonderful detail! Photos courtesy of Bryan from Saint Paul, Minnesota. 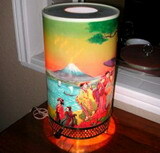 The motion cylinder provides a flickering effect in the fireplace. 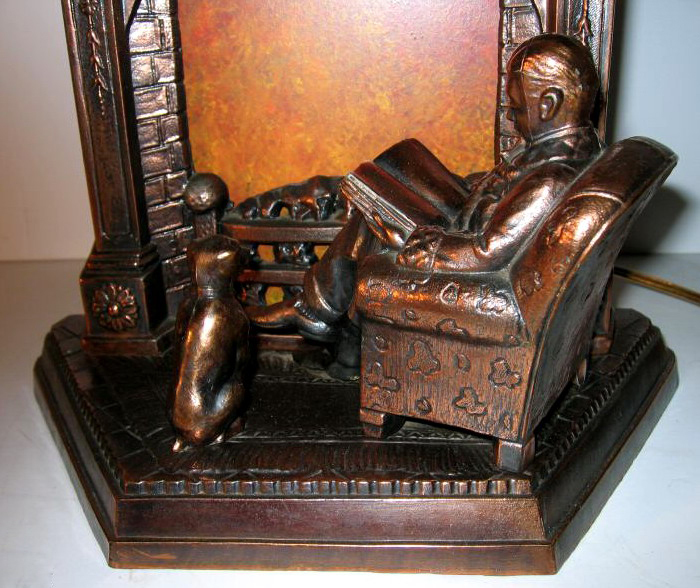 This design is found in two versions, one with the dog facing its master, the other, shown here, with the dog facing the fireplace. The two are otherwise identical. 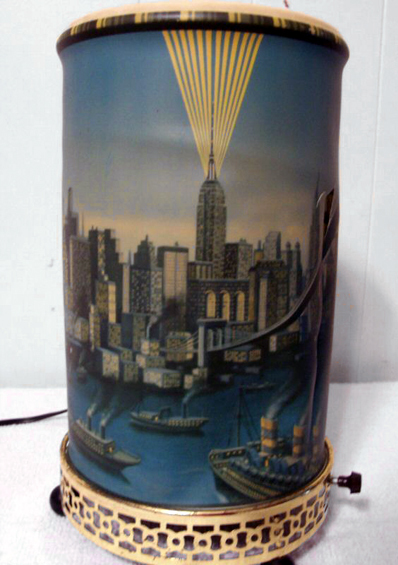 Just look at the deco-inspired detailing on the back! 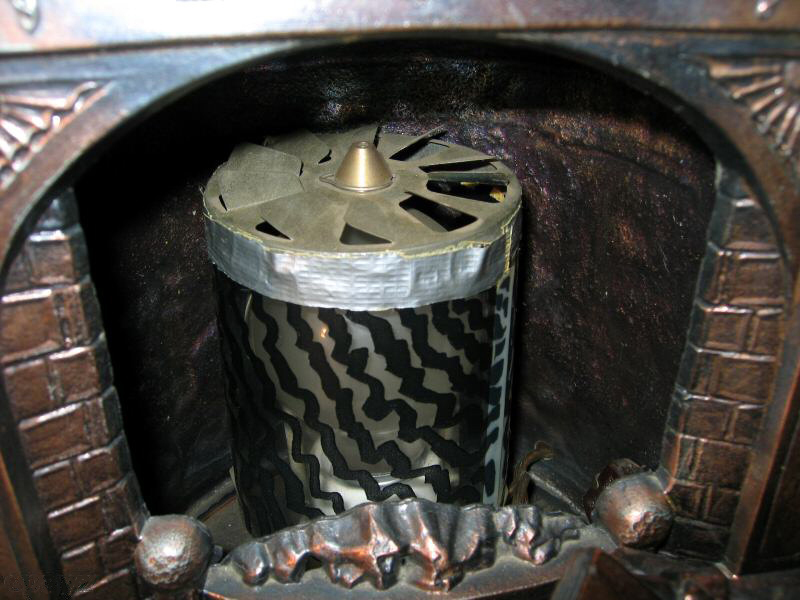 With the outer fireplace screen removed one can see the rotating cylinder. Duct tape can fix anything. 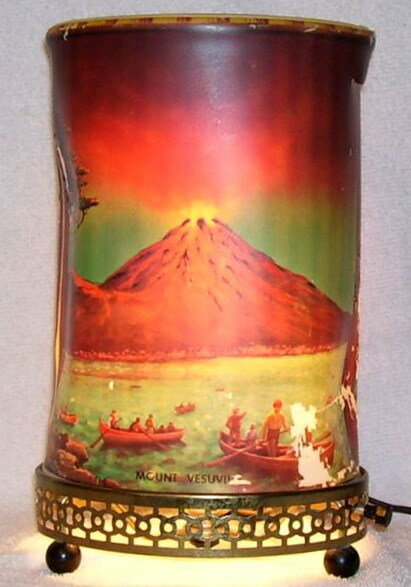 It was inevitable that one of the motion lamp companies would target South Seas/Tiki mania, and the gang at Econolite did just that. 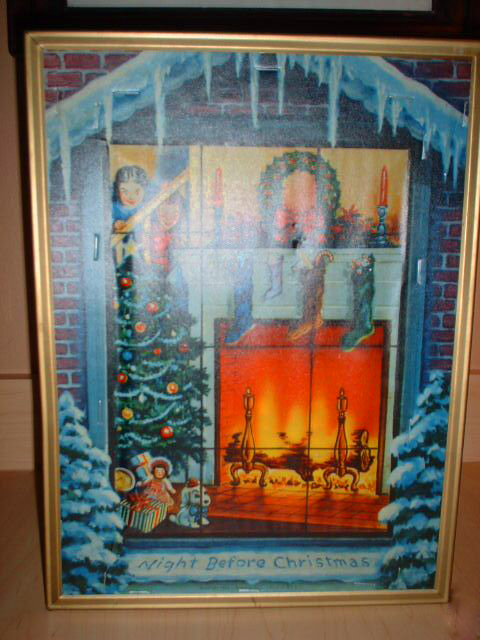 Photos courtesy of an eBayer from Bingen, Washington. 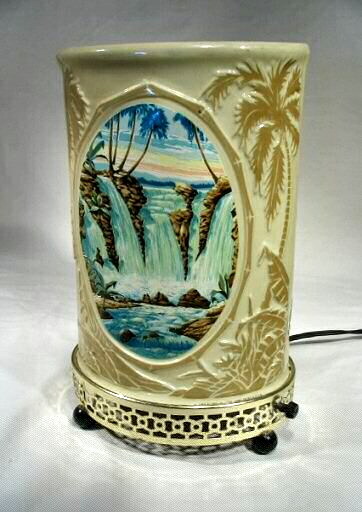 The tropical motif is tailor-made for motion lamps...it's a wonder that this particular lamp is such a rarity. 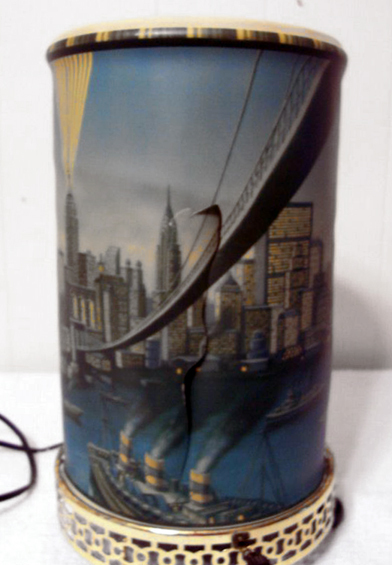 The outer cylinder is marked, © 1959 Econolite Corp. Hand Printed U.S.A. 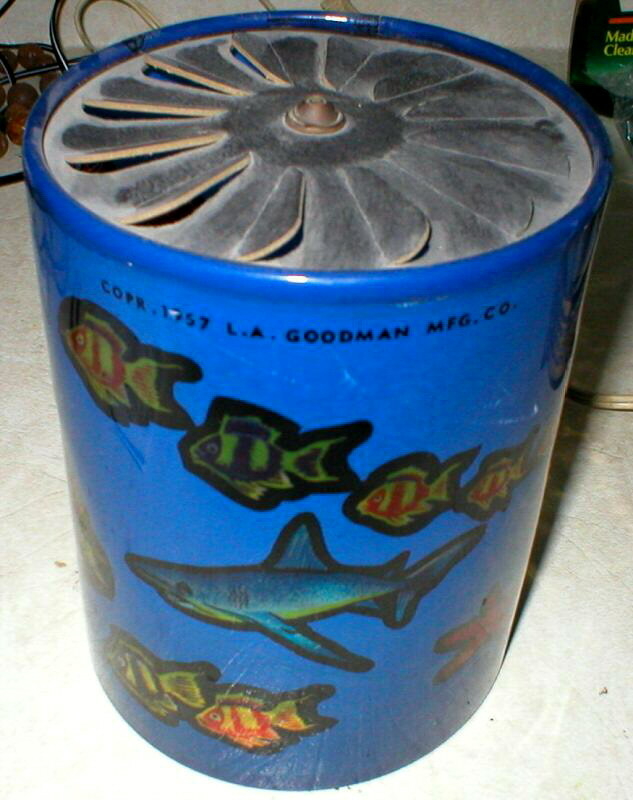 It is model #701. 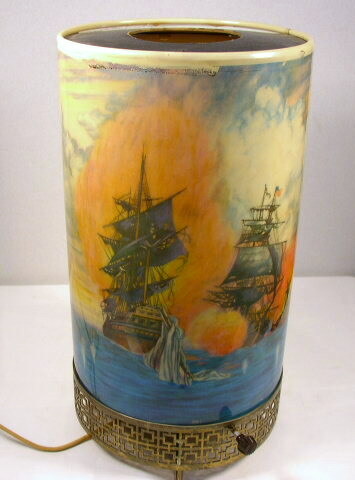 The image on the opposite side, while very similar, is completely different from that on the front. 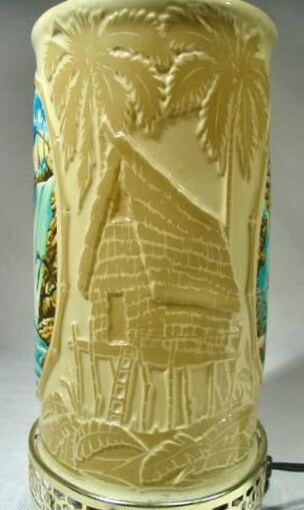 This great tiki hut is my favorite part! 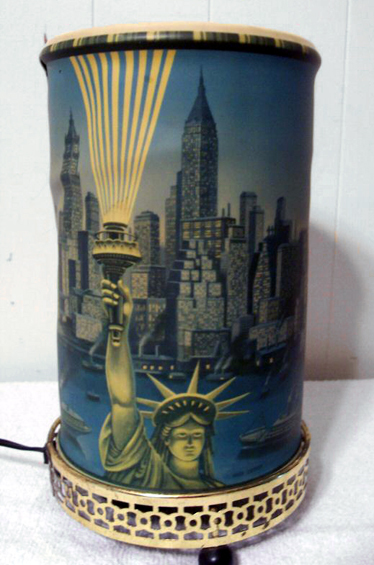 This model #769 "Miss Liberty" by Econolite is one of the companies rarest designs. 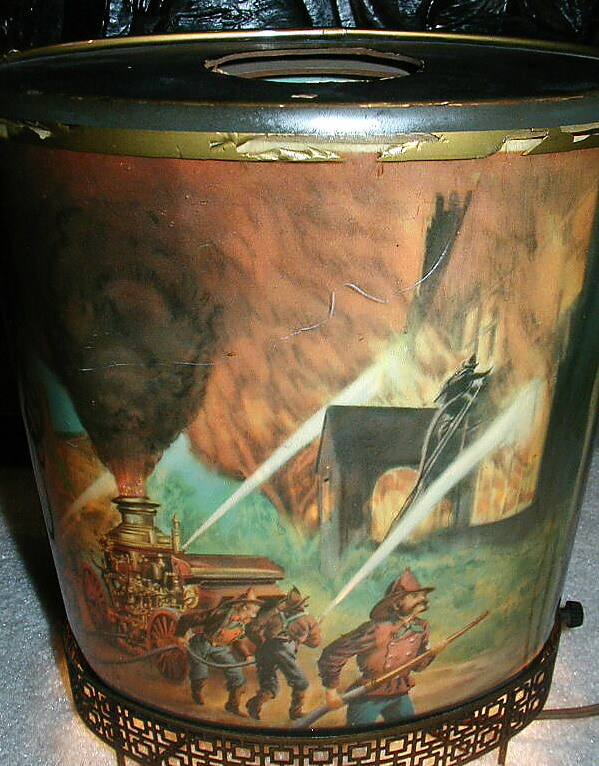 Photos courtesy of Randy Williams, eBay seller antiquetymes. 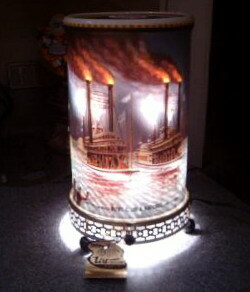 Another look at the liberty lamp. 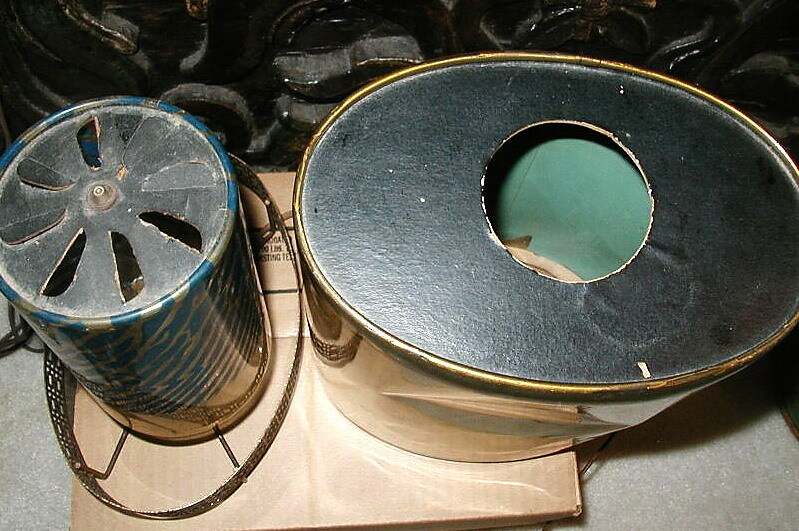 The inner cylinder is marked 769 © 1957 Econolite Corporation. 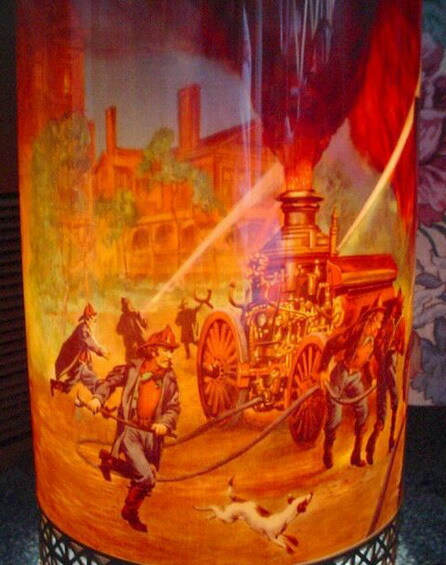 L.A. Goodman took advantage of the motion lamp's propensity for simulating flames with this great fire fighting scene. Photos courtesy of Tonya from Corinna, Maine. Here's a look at the opposite side. It is marked, Copr. 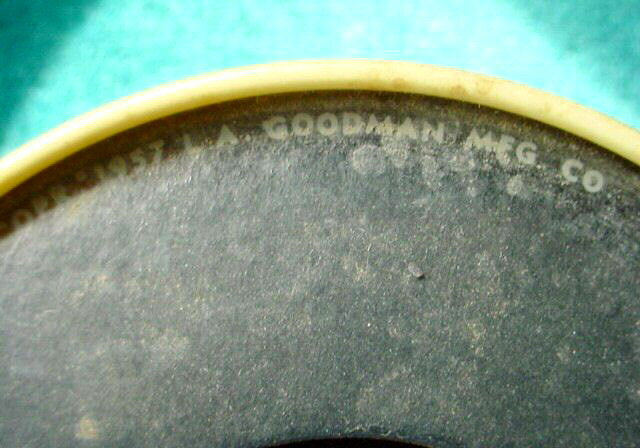 1957 L.A. Goodman Mfg. Co. 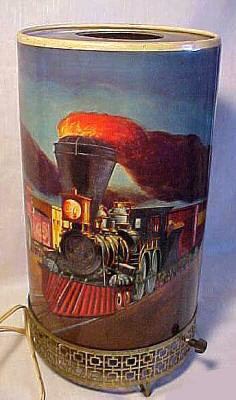 This interesting bottom view shows the positioning of the two cylinders. 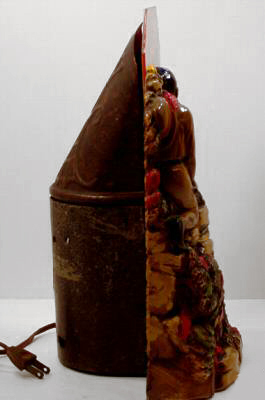 This shot reveals the various components. 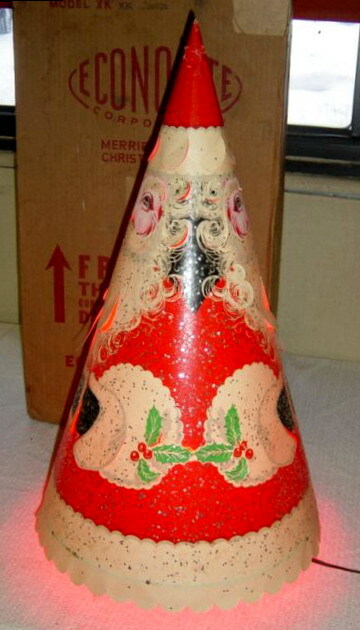 Several Christmas-themed lamps were released by the motion lamp companies, including this seldom-seen example by L.A. Goodman. 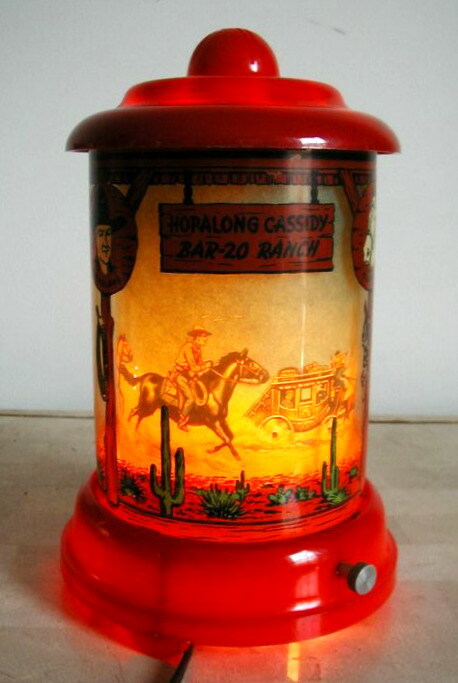 It isn't a motion lamp at all, but what they called a "column lamp", and has no inner rotating cylinder. Photos courtesy of Becky from Missouri. 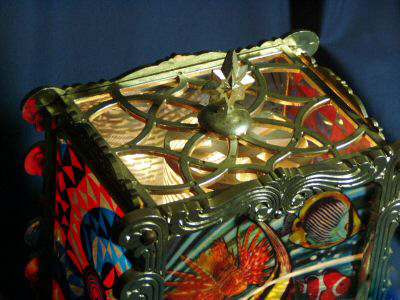 While valuable and highly prized, the original boxes are frequently found with such seasonal lamps, as they were packed away each year. 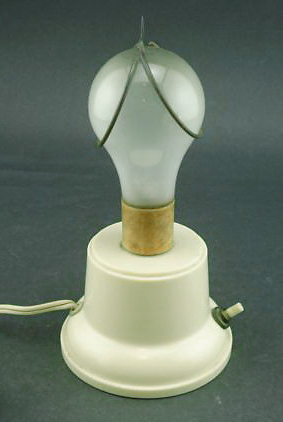 This simple design doesn't have the inner cylinder found on Goodman's motion lamps. 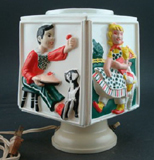 Children's themes were a natural subject for motion lamps, and this rare Econolite Mother Goose design is a great example. 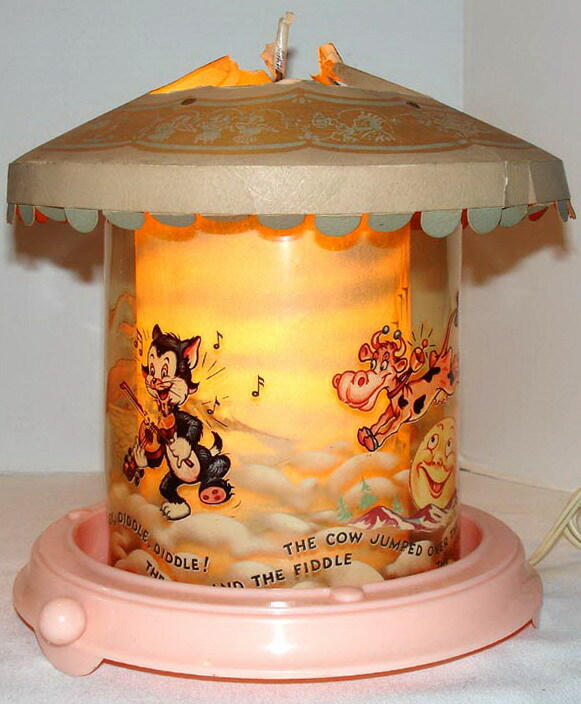 Marked with the year 1948, it reminds me of the Merrie Melodies cartoons! 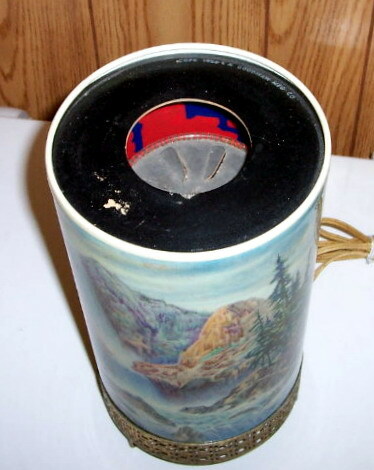 Photos courtesy of eBay seller "scratch-x". Here's a look at the other side. 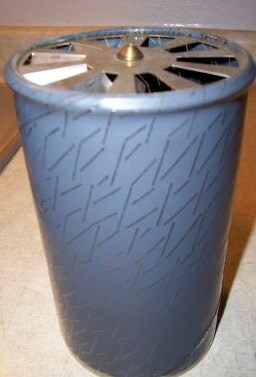 The inner cylinder and base/fixture. 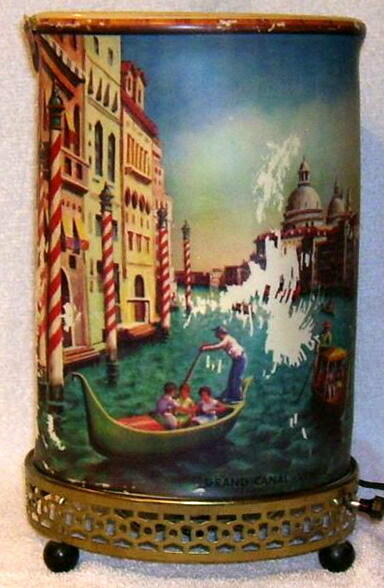 This seldom-seen Mount Vesuvius/Grand Canal-Venice motion lamp from Econolite is dated 1963. Photos courtesy of Sandra from Alberta, Canada. 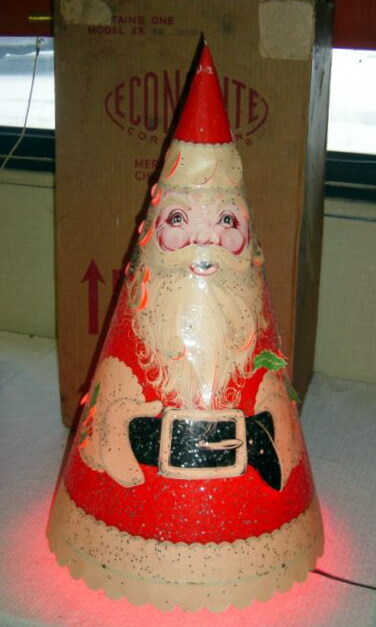 This 1953 Night Before Christmas Econolite isn't one you're apt to come across often, and it's a beauty! It's model #652. Photos courtesy of eBayer "dinermug". 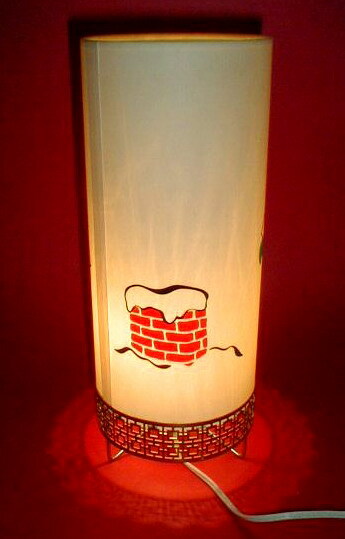 In all its illuminated splendor. 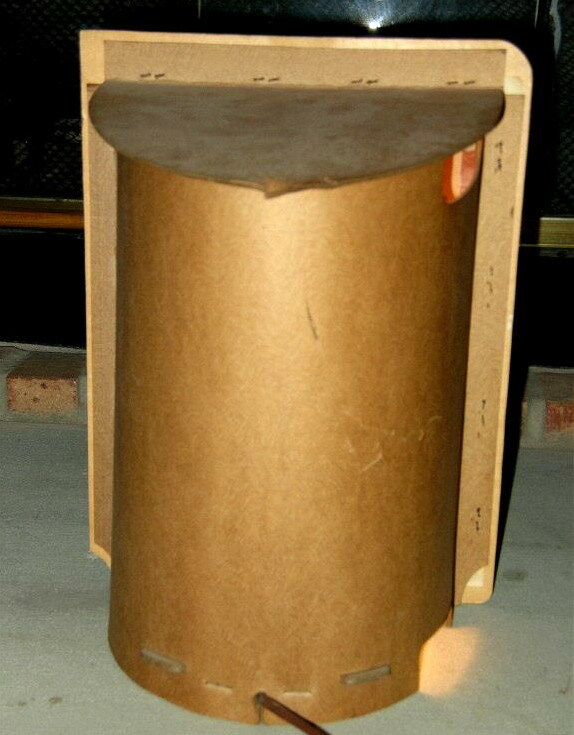 This pot-belly stove by Econolite isn't seen often, but it's a nice one! 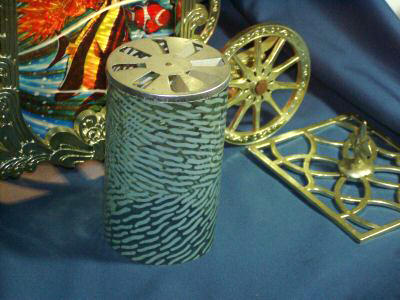 It is #900 from 1962, and is also found in silver. 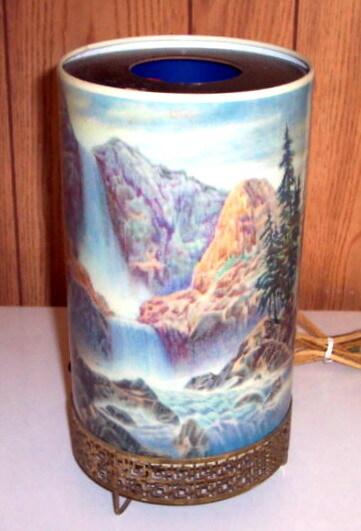 Photos courtesy of eBay seller lisanagain. 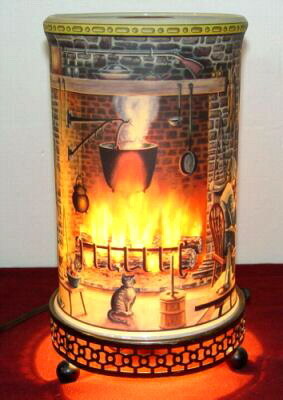 The stove has the usual inner cylinder that provides the flickering flame effect. 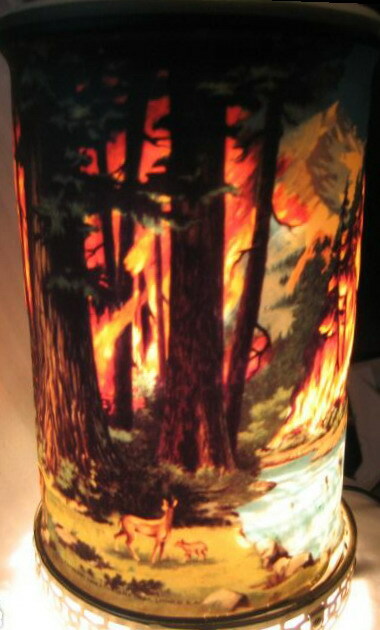 You can practically feel the warmth! Now for something completely different! This #754 Econolite bears (bares?) 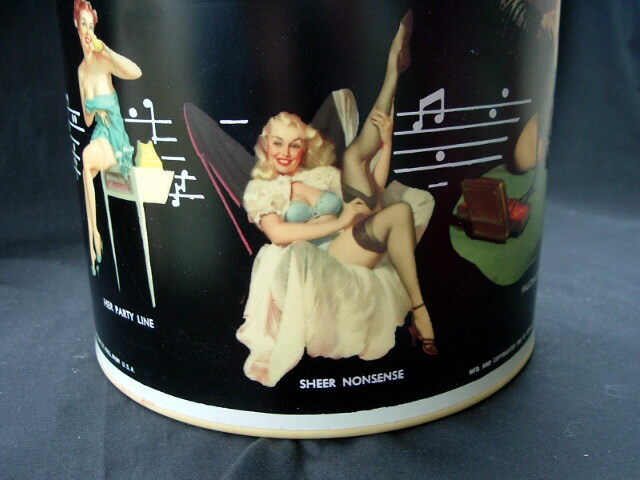 a 1955 copyright, and is adorned with numerous Gil Elvgren pinup images. Photos courtesy of Walter from Baraboo, Wisconsin. Close-up of one of the cuties. 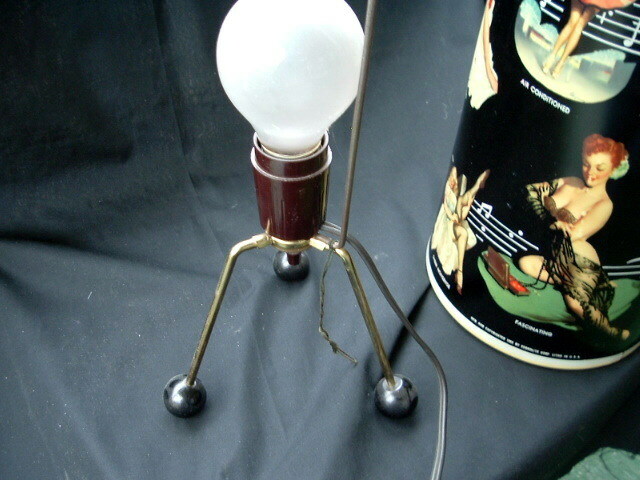 Supported by "Sputnik" legs, this Econolite doesn't use the typical inner rotating cylinder, but instead rotates the scene itself. Similar in style (but very different in subject!) 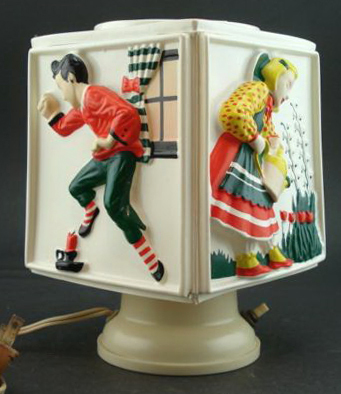 to Goodman's "bathing beauty" lamp, this one illustrates four classic nursery rhymes. Here's the other two pictures. As seen in this top view, there's no inner cylinder, and the images themselves slowly rotate. 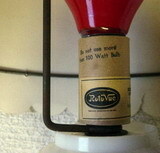 The scenes spin on this nail-like axis that snaps onto the bulb like a lamp shade. 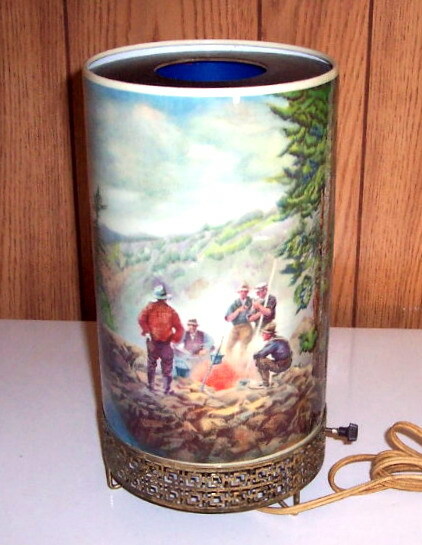 Based in Indianapolis, Indiana, Gritt produced several chalkware motion lamps in the 1920's, including this Boy Scout model. 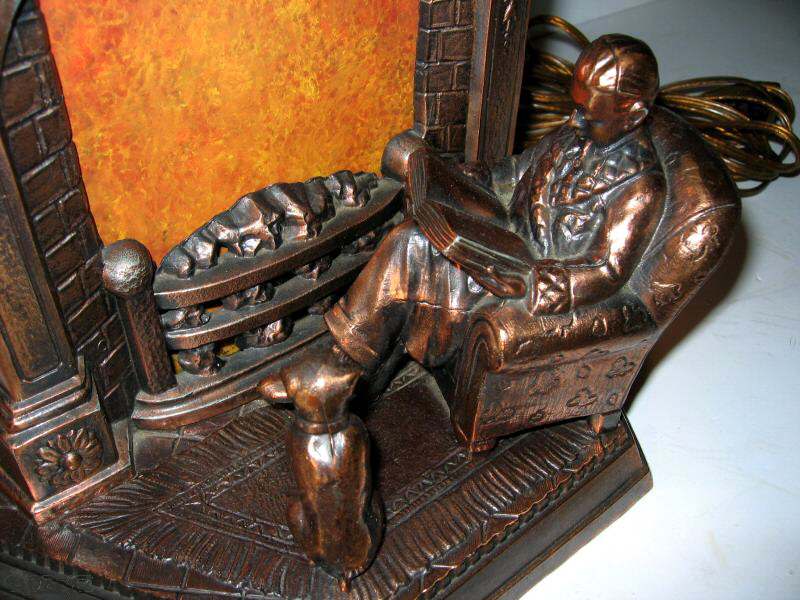 Photos courtesy of eBay seller, mrml. 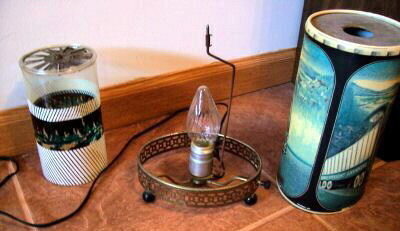 The various components of the Gritt motion lamp. 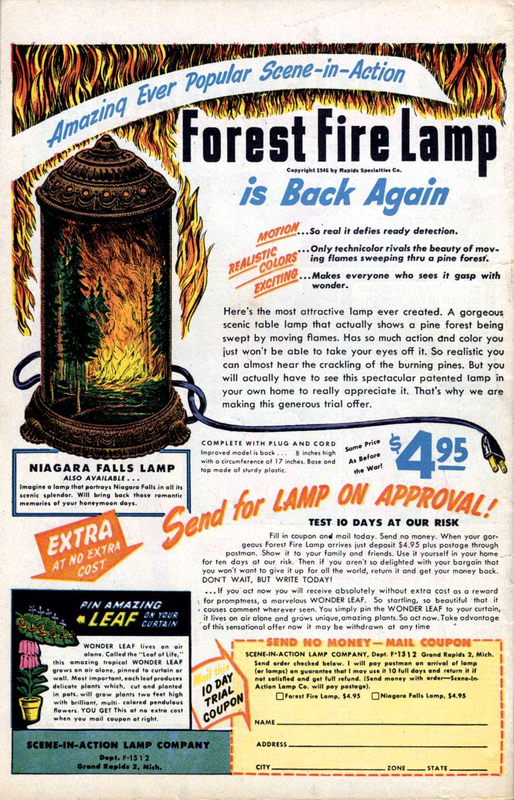 I found this advertisement for Scene-In-Action motion lamps in the back of a 1947 comic book. How about that price... and what the heck is the "Wonder Leaf" shown at the bottom of the ad? !